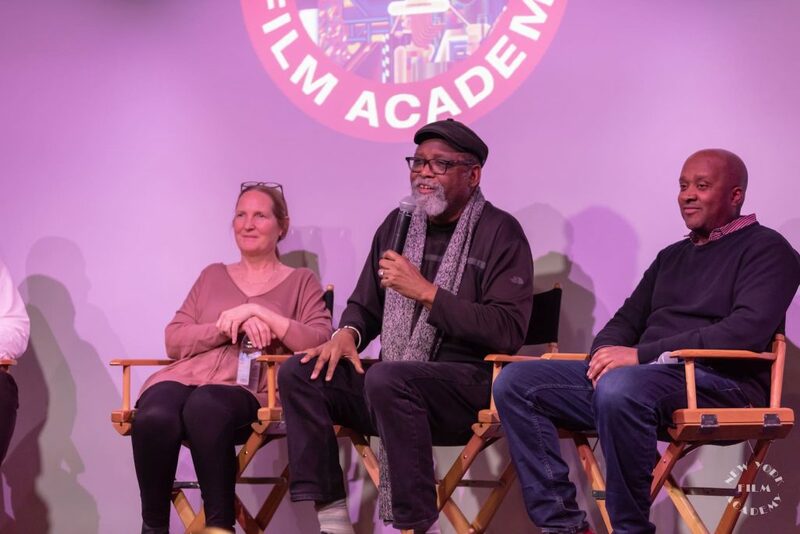 Legendary producer, director, and editor Sam Pollard led a spirited “Conversation with…” and Q&A session after a rousing screening of his latest documentary Sammy Davis Jr.: I’ve Gotta Be Me at New York Film Academy (NYFA). 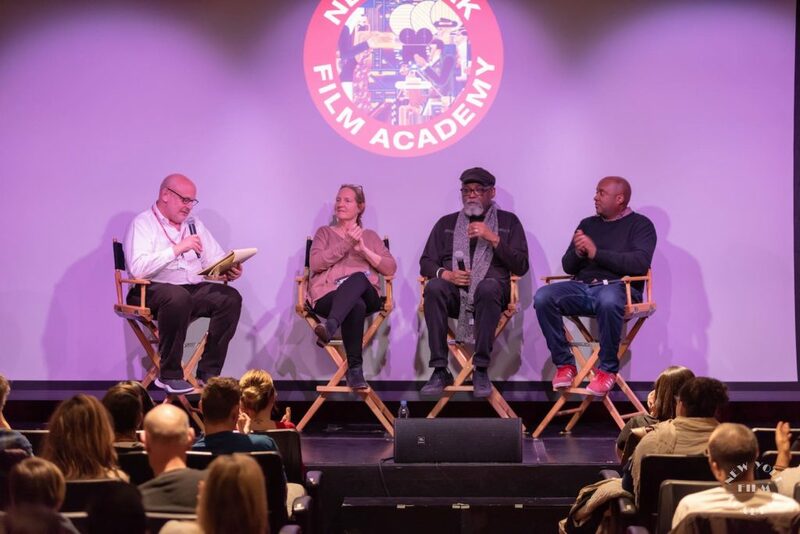 A capacity crowd at NYFA’s Theatre in New York City was captivated by the film, which traces the iconic entertainer’s life from his youth in Harlem to international stardom—	from Hollywood to Broadway to Las Vegas and beyond. 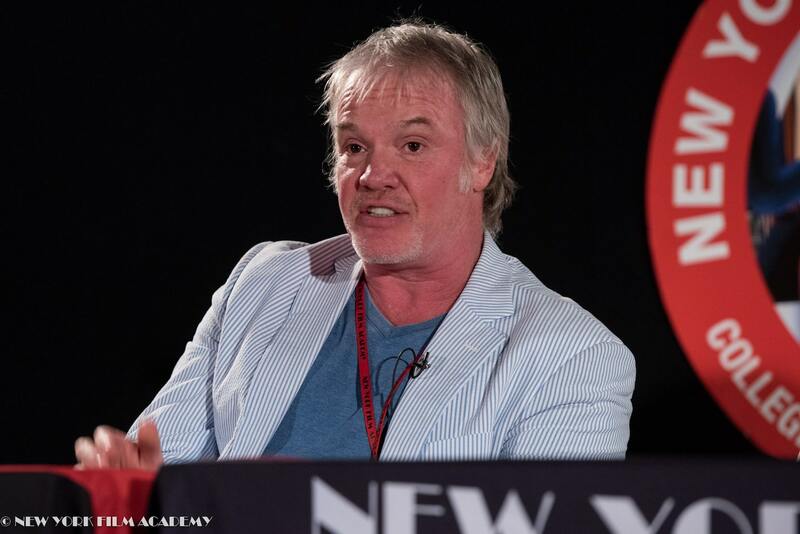 NYFA students were inspired by Sam Pollard’s recollection of his early career, when he gravitated towards an editing career after a Public Broadcasting internship program. 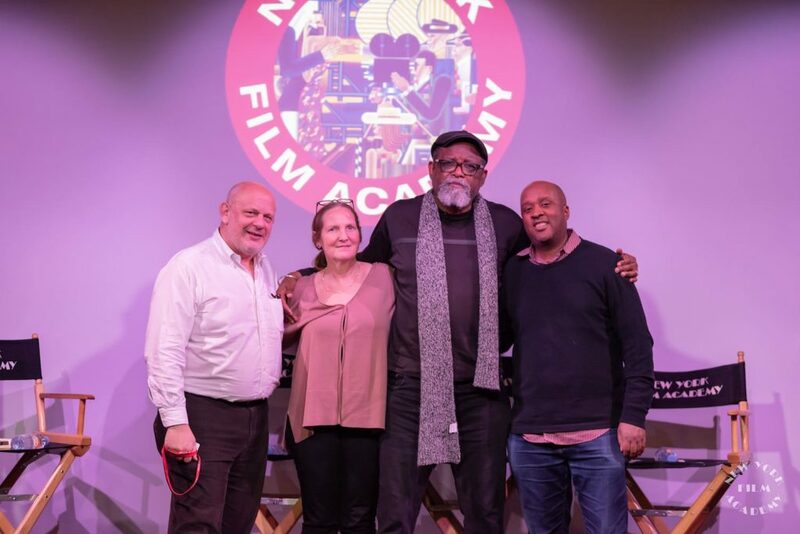 He went on to cut narrative features as well as documentaries, most notably working with Spike Lee on films including Mo’ Better Blues, Jungle Fever, Clockers, and Bamboozled. In 1998, Pollard and Lee were nominated for the Academy Award for Best Documentary Feature for 4 Little Girls. 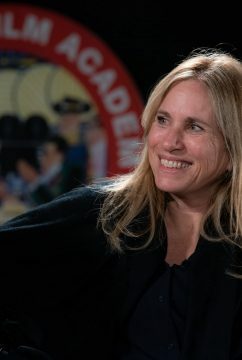 Pollard moved into producing and directing while working on Eyes on the Prize, still considered the seminal work on the American Civil Rights Movement. 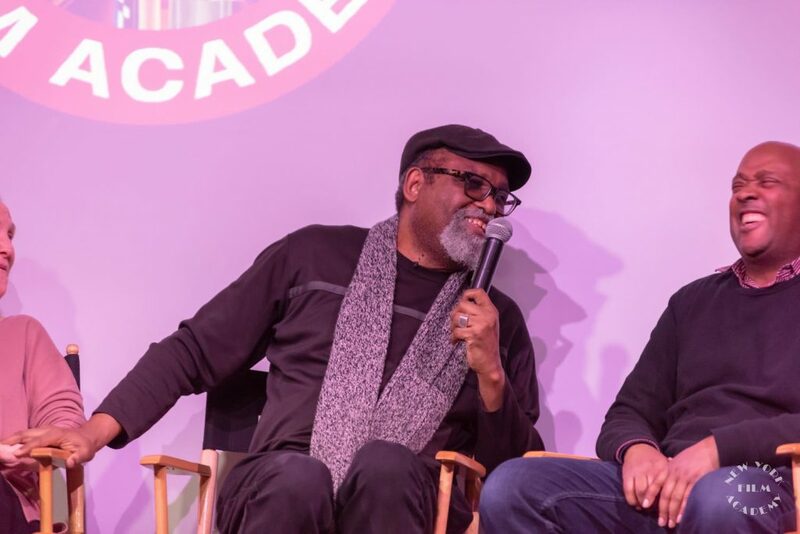 Sammy Davis Jr.: I’ve Gotta Be Me capped NYFA’s celebration of Black History Month. Made for American Master/PBS, other Sam Pollard projects made for the series include works about August Wilson and Zora Neale Hurston. “Filmmaking is hard work but it’s like magic when it works. 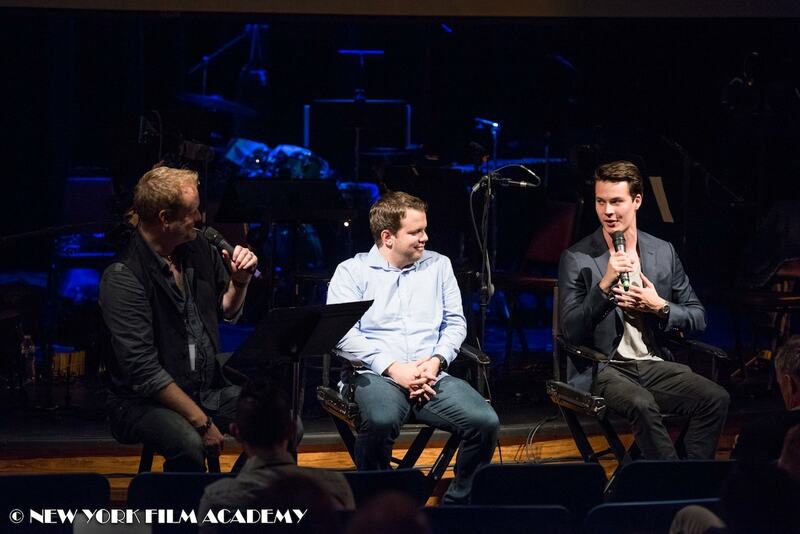 Now it feels seamless, and that to me is that magic of filmmaking,” Pollard explained to the audience. 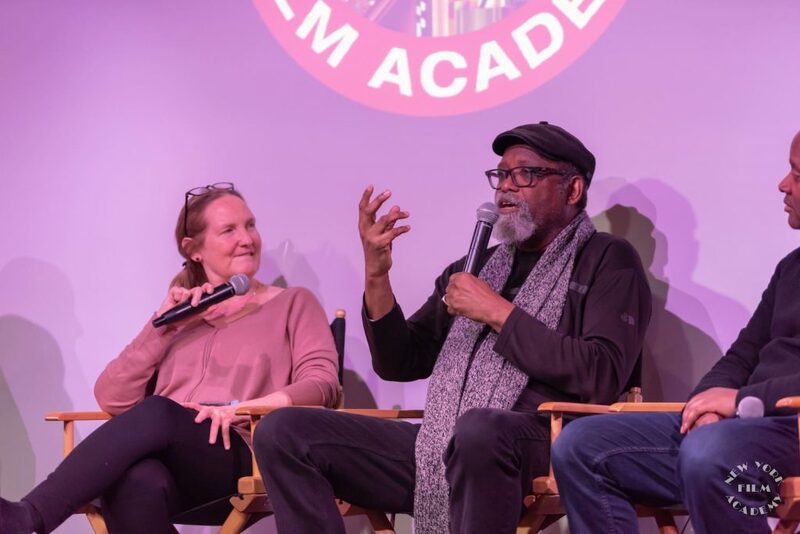 The New York Film Academy thanks Oscar-nominated producer, director, and editor Sam Pollard for sharing his experience and wisdom with our students and encourages everyone to check out Sammy Davis Jr.: I’ve Gotta Be Me. 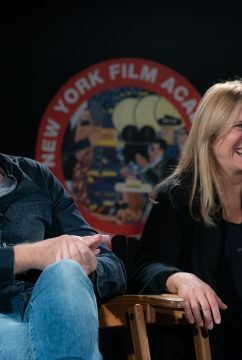 On Wednesday, December 5th, New York Film Academy (NYFA) hosted a Q&A session with Emmy Award-winning editor, actor, writer, and director, Steven Sprung, following an episode of Community which Sprung directed. 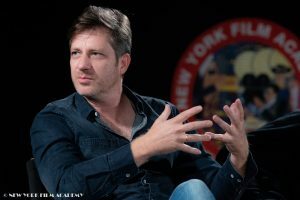 Sprung is best known for his editing work on Star Trek Beyond, Entourage, and Arrested Development. 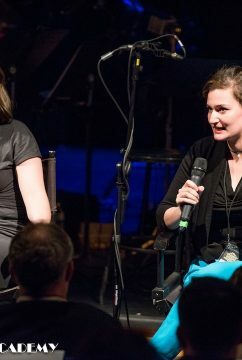 The Q&A began with a student who inquired about Sprung’s time at Syracuse University. Sprung shared that in college, he and his friends were very enthusiastic about filmmaking and worked together to produce numerous short films. During this time, Sprung got the chance to write, direct, edit, and act as these short films had very small production teams and needed many roles filled by very few people. He discovered that he had a special talent for editing and was nominated for an A.C.E. Eddie Award for outstanding achievement in editing while still an undergraduate at Syracuse. 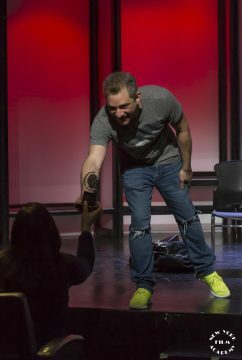 Another student asked what advice Sprung had for actors trying to perform comedic material. 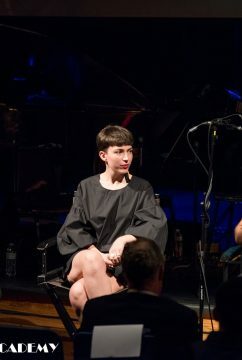 “Do a lot of live productions ‘cause you can get instant feedback on whether people are finding things funny,” answered Sprung, “…and… don’t try to be funny; that’s the biggest killer of all.” Sprung suggested that actors “really get invested in the drama of a scene” because a character’s investment and reactions in the moment heighten the humor. 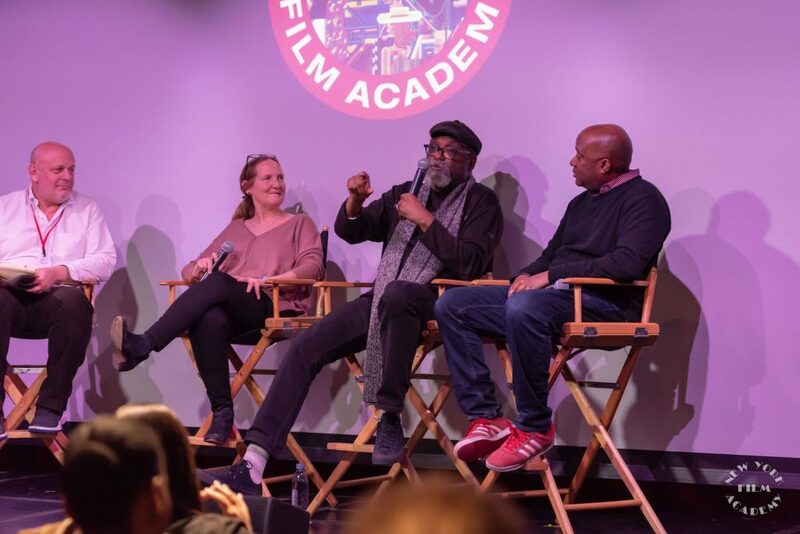 One student in the audience asked if Sprung felt that the entertainment industry was progressing in terms of the number of roles available for actors of color and international actors. 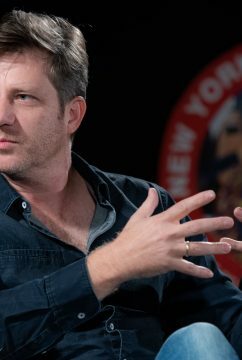 Sprung said that, in his experience, most mainstream television shows and movies have mostly white and American production teams and actors. 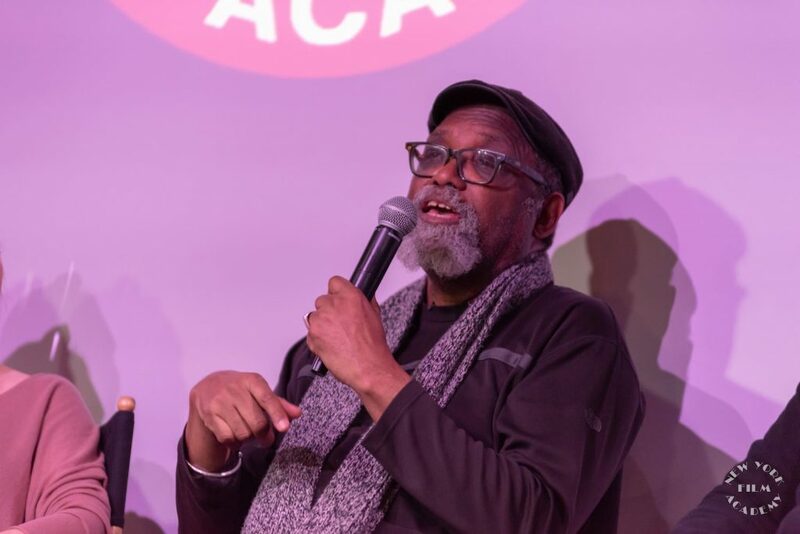 However, he added that there are increasing roles for actors of color and international actors because there is “so much content” available to consumers: cable TV, streaming services, web series etc. Another student asked Sprung what makes actors stand out in auditions, inspiring casting directors to choose them as opposed to their peers. 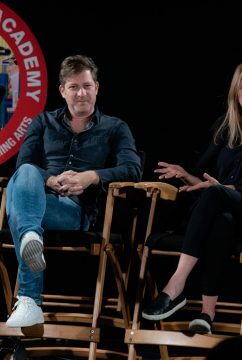 Sprung discussed how he cast one of the actors in the episode of Community that the students had just watched; he ultimately chose this actor because he “lit up the room” in auditions — Sprung liked his energy and his delivery. 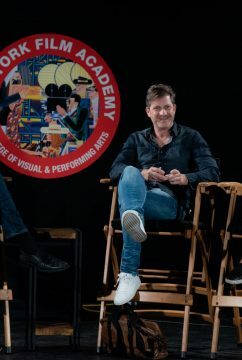 He informed students that casting is not an exact science or necessarily predictable; casting is based on a number of factors including industry relationships, whether casting directors are looking for known or unknown actors, personal opinion, etc. 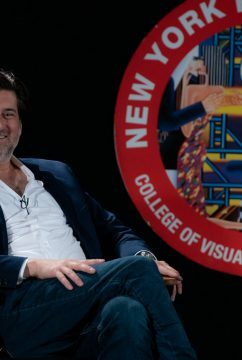 The New York Film Academy would like to thank Emmy Award-winning editor, actor, writer, and director, Steven Sprung for sharing his industry experiences and wisdom with our students! On Friday, October 26, New York Film Academy (NYFA) hosted a screening of Lifetime’s Killer Under the Bed (2018), followed by a Q&A with director and NYFA instructor, Jeff Hare; producer, Ken Sanders; director of photography, Brad Rushing; and stars, Brec Bassinger and Madison Lawlor. 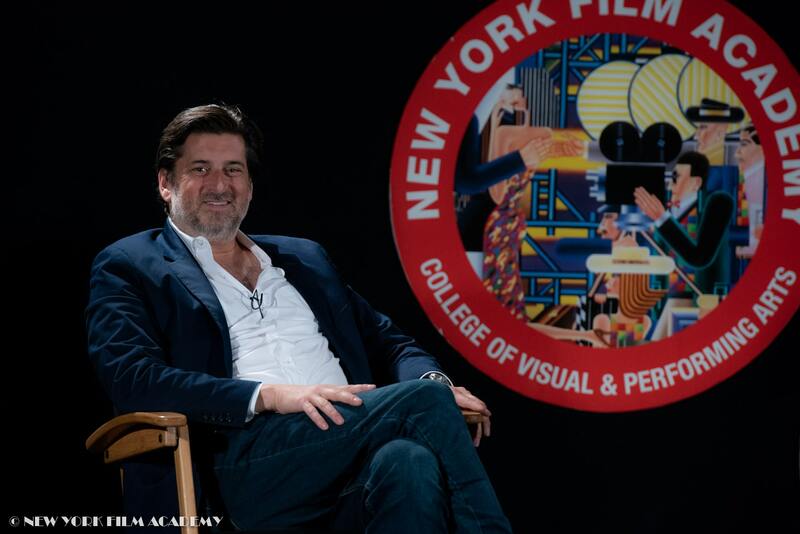 The event was moderated by NYFA instructor, David Newman. 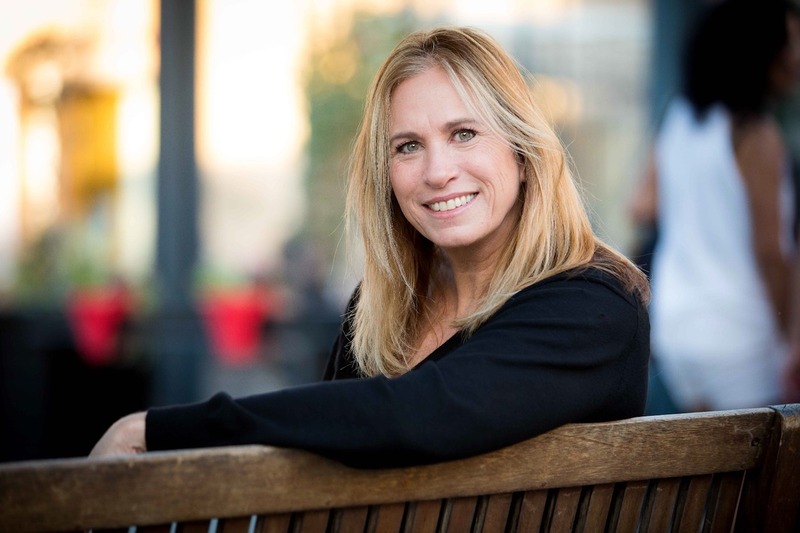 Hare is a writer, director, and filmmaking instructor at New York Film Academy’s Los Angeles campus, and has been working as a director of thrillers for the Lifetime channel for the last few years (A Lover Betrayed, Psycho In-Law, Nanny Killer). Sanders is a prolific producer for the Lifetime channel who has accumulated over 60 movie credits in the last 30 years (Accused at 17, Double Daddy, Stalked by My Doctor). Rushing’s career as a director of photography began with some small features in the 1990s then expanded into the music industry with music videos for Eminem, Mariah Carey, Britney Spears, Blink-182 and more. 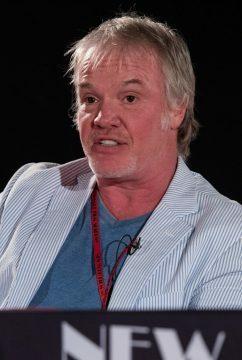 Rushing then moved back to film and television, and ultimately made his way to the Lifetime channel where he now works as a DP on many of its thrillers. 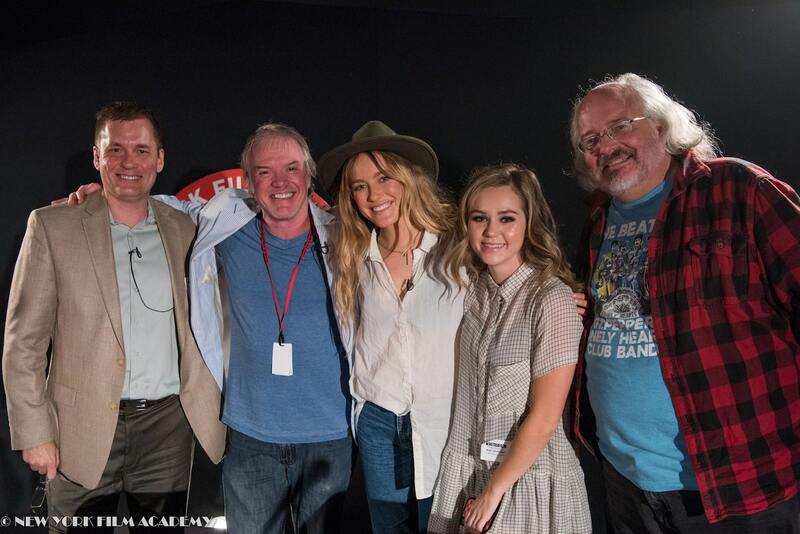 Bassinger is an actress known for her roles in ABC’s The Goldbergs and Nickelodeon’s Bella and the Bulldogs and School of Rock. 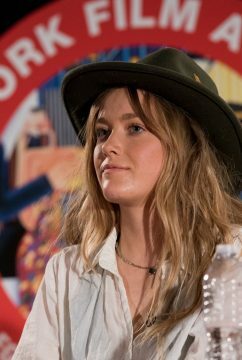 Lawlor is an actress known for her roles on TNT’s Franklin and Bash, Netlfix’s Dear White People, and the film, Daddy Issues (2018). The film also stars Kristy Swanson, eponymous star of the original Buffy the Vampire Slayer. Moderator David Newman opened up the Q&A by asking about the inspiration for the film. 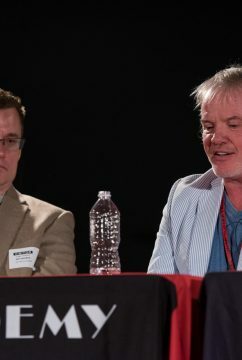 Producer Ken Sanders explained that he was approached by the film’s writer about producing a movie about a voodoo doll; Sanders knew that there would have to be more meat to the story to get executive producers interested, so he began thinking about the topic. Rushing added that he and director Jeff Hare had worked together before, and were largely on the same page aesthetically when it came to the look of the film. 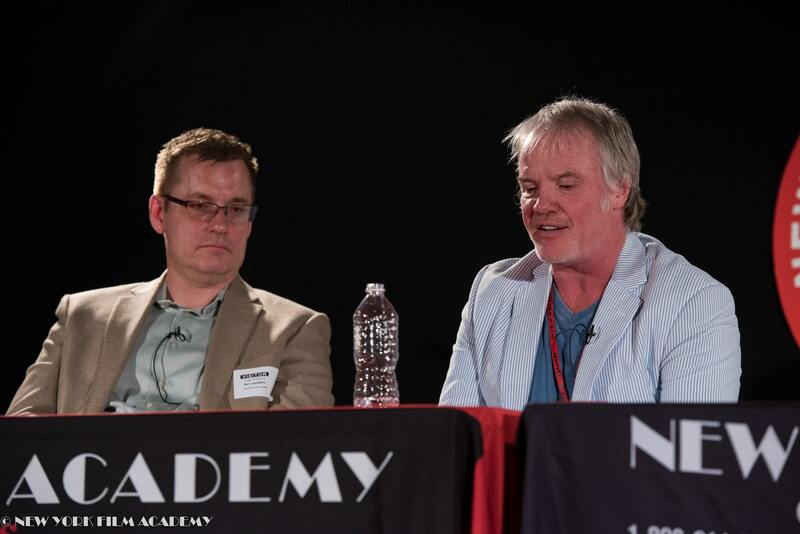 The New York Film Academy thanks Jeff Hare, Ken Sanders, Brad Rushing, Brec Bassinger, and Madison Lawlor for sharing their insights about making an independent thriller on a tight budget and in a short timeframe! 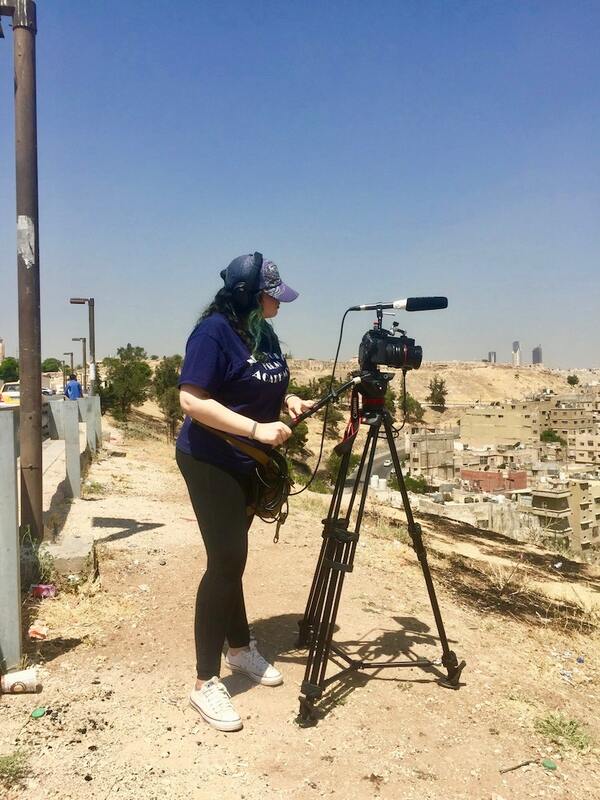 The award-winning documentary short Syria’s Tent Cities first found life as an MFA graduation project for New York Film Academy MFA Documentary alum Mira Hamour. 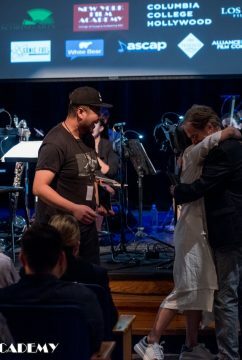 It quickly took a life on its own, and thanks to the passion and incredibly demanding—both physically and emotionally—work put in by Hamour, the film has gone on to win eleven awards (and counting) since its completion in July 2018. Additionally, Syria’s Tent Cities has been selected to screen at the Studio City International Film Festival in Los Angeles, an official selection at Short to the Point festival, selected at the Short Long World Festival, been selected as a Semi-Finalist at the Directors Cut Int’l Film Festival, and chosen in the Top Shorts Semi-Finalist Top 40 films. Hamour will be attending the screening on November 14. The documentary short isn’t just a film—it’s a call to action by Hamour, telling vitally important stories from one of this century’s greatest humanitarian crises and educating its viewers on how they can help in their own small way. 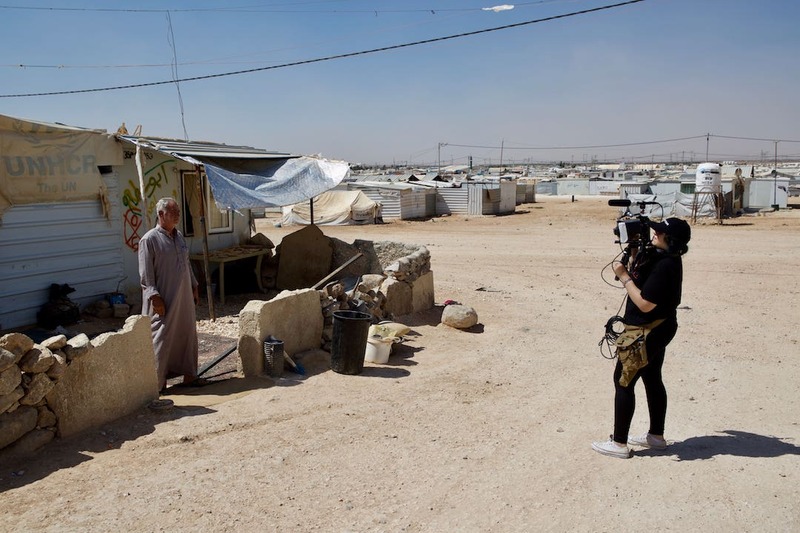 Not just a powerful work of filmmaking, Syria’s Tent Cities is an extrapolation of Mira Hamour herself—a passionate plea for empathy and understanding from an artist whose heart matches her mastery of the documentary craft. Mira Hamour (MH): I identify as Syrian-Canadian. 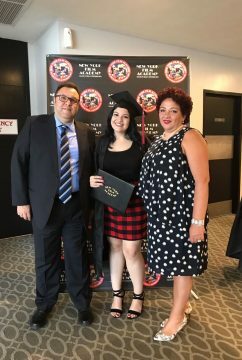 Growing up, I’ve lived in the Middle East and Canada and most recently spent three years in the United States (New York, Los Angeles, and New Jersey). When I was in high school, I love watching documentaries. I loved hearing real stories, about real people and learning about all of these world problems that not many people really seemed to know about. I felt like a lot of the social issues that interested me stemmed from the misinterpretation and incorrect practice of religions, and I explored lots of world religions throughout my bachelor’s degree to see if I could find the root cause of these problems and misinterpretations. I wanted to prove that when interpreted and practiced correctly, every major belief system preached love, acceptance, and unity at its core. I focused on taboo and challenging issues and throughout my Undergraduate schooling; I extensively researched a variety of controversial topics, including feminism and homosexuality in Islam, Jewish masculinities and gender identity and, exploring ISIS and radicalization’s global impact. Realizing the incredible power of film to bring people together, inform audiences, and encourage them to make a change for the better, I knew that I wanted to study Documentary Filmmaking to learn how to effectively shed light on social issues and present my audiences with viable solutions for positive social change. In July of 2014, I enrolled in a 4-week filmmaking summer course at NYFA while still working on my undergrad, to sort of test the waters and see if this was really for me. It’s one of the best decisions I’ve ever made. 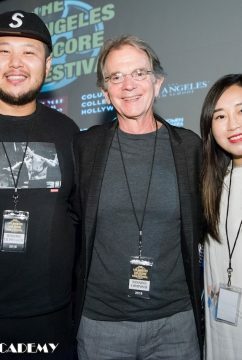 Not only did I get to meet incredible people who are still very close friends to this day, it kickstarted my career in filmmaking and confirmed my love for it. 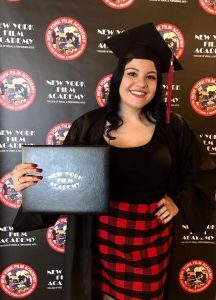 As soon as I was done with my undergraduate degree, I enrolled full time at NYFA for my MFA in Documentary Filmmaking. 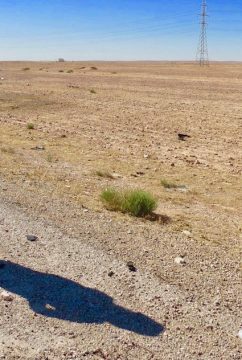 NYFA: Can you tell us about your film Syria’s Tent Cities? 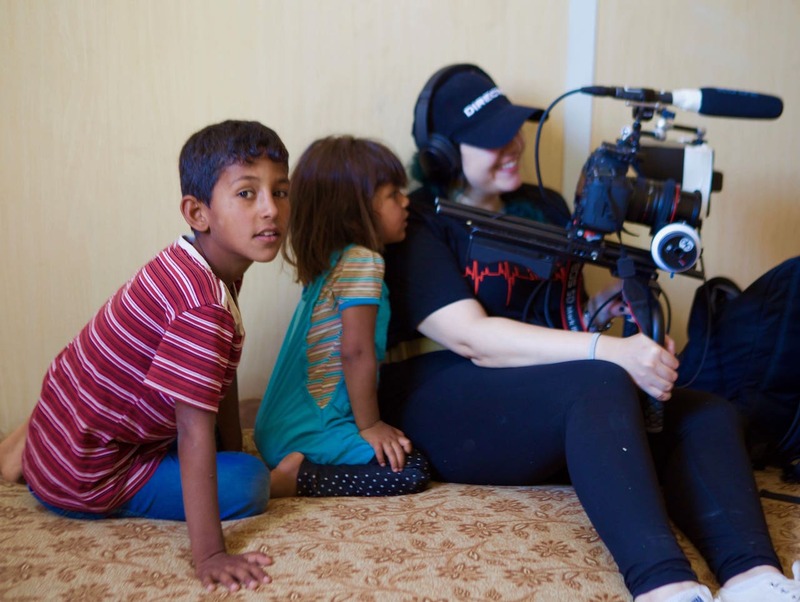 MH: My debut film, Syria’s Tent Cities, was shot in Jordan, Lebanon, and Canada. 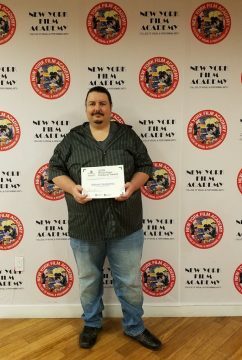 It started out as an MFA graduation project, but I worked on it long after graduation and have now developed it into the 30-minute award-winning documentary short that it is today. Identifying as both Syrian and Canadian, watching the refugee crisis continually worsen has been especially difficult for me. I felt helpless, and knew that many others also wanted to help but didn’t know where to start. Almost eight years into the crisis, I noticed that the Syrian refugees were now being viewed as one, singular mass statistic. I spent many summers in Syria growing up and have amazing memories there; I wanted to remind the world that these refugees are individuals: they’re parents, they’re children, they’re teachers, they’re families, they’re friends. In many ways, they’re not very different from us, they’ve just been forced into a very unfortunate situation and had their world turned upside down. 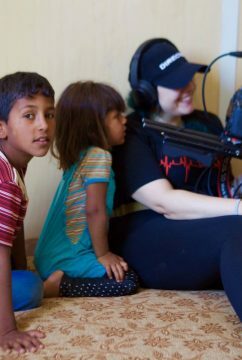 My film is unique in that it explores the Syrian Refugee Crisis from both a local and global perspective by examining the lives of Syrian refugees in Middle Eastern refugee camps while also answering the question of what happens next, once they’re resettled in North America. 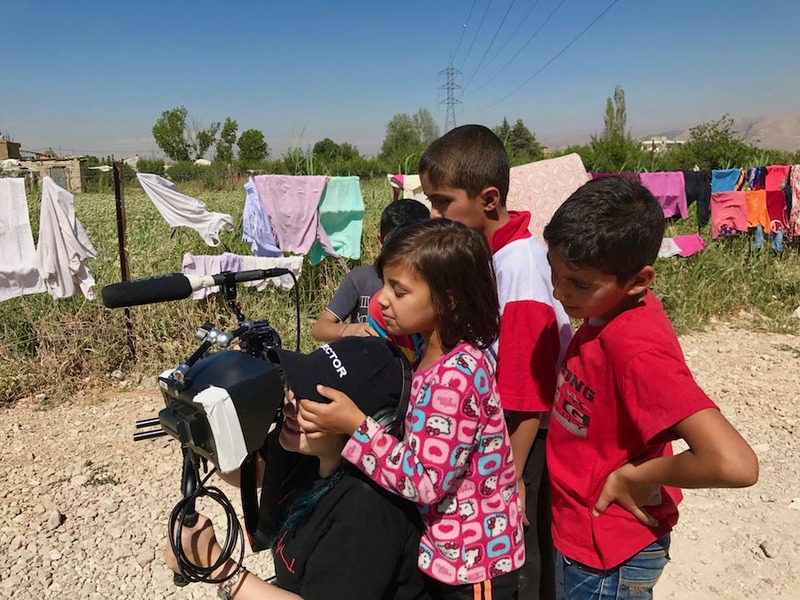 While planning the film and working on months of pre-production from Los Angeles, one prominent issue kept coming up: there are hundreds of thousands of displaced Syrian children around the world growing up without any access to education. In the long run, this could have very dire consequences and prevent them from becoming self-sufficient, contributing members of their society. The lack of education takes away from what’s left of their childhood and doesn’t give them a sense of importance or purpose. I knew that I not only had to focus on education while making the film, but also present the audience with feasible solutions to help fix this problem. Throughout the film, the refugees work to improve their situation through the efforts of the two individuals I chose to tell this story through: Nowell Sukkar, founder of Nowell’s Mission working in Jordan and Lebanon, and Mazen El-Baba, founder of H.appi Camp working from Ontario, Canada. Both of them have dedicated their lives to making education and inclusiveness a right for all Syrian children. I also worked with Human Rights Watch in Jordan and Lebanon to better explain the situation to the audience; instead of blaming the refugees’ parents automatically, the HRW researchers break down the many reasons why all these barriers exist and how we can combat them. 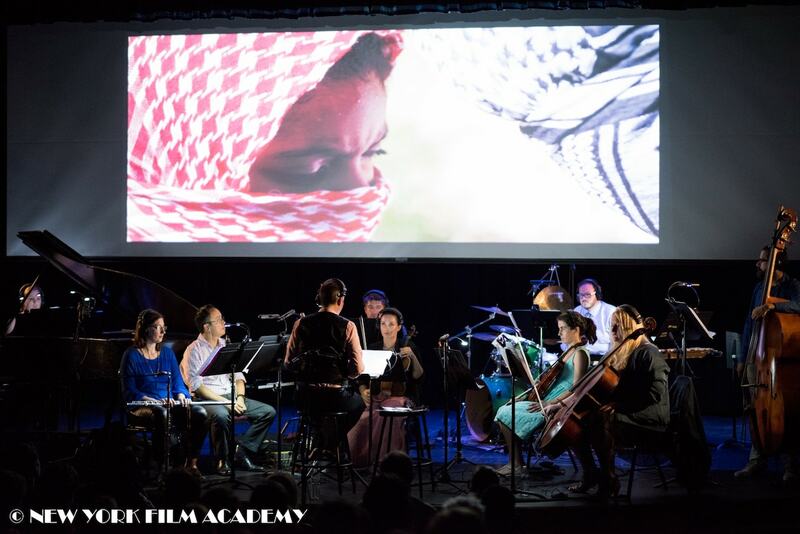 NYFA: What inspired you to make Syria’s Tent Cities? MH: The Syria we see on the news today is painfully different from the one I knew growing up; it’s hard to come to terms with just how bad things have gotten in a relatively short amount of time. As with many other global crises, after a while people begin to grow tired of it because, even if they want to help, they don’t know how to. It seems too complicated, too difficult, and they feel helpless. And that’s why I wanted my film to focus on the specific issue of education and how the lack of it is killing refugees’ childhood, their ability to dream, aspire, and achieve. During a visit to my home city of Toronto in August of 2016, I spoke with newly resettled Syrians who noticed a world of difference in their children who had just attended the first ever H.appi camp, a free summer camp experience exclusively for newcomer refugee children. 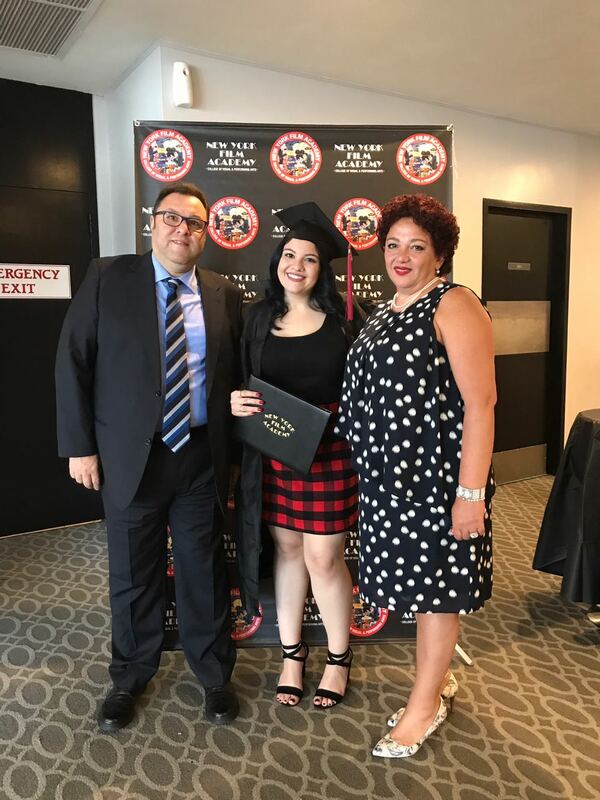 H.appi aimed to help these children integrate into Canadian society, improve their linguistic skills and aid them in overcoming the trauma that they had experienced before arriving to Canada. 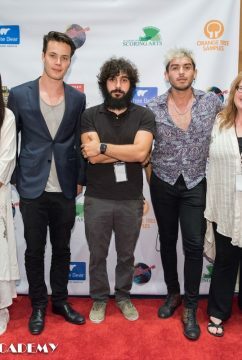 When I actually made the film a year later, I realized that whether they’re living illegally in neighbouring countries or permanently resettled in Canada, many of the refugees were united in one thing: their goal to achieve a better life through a good education and the mental health resources many of them needed to overcome the trauma of war. 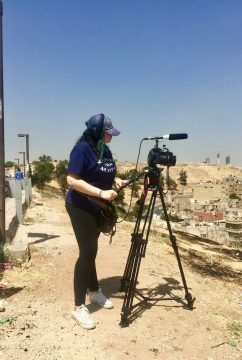 NYFA: What was your experience filming Syria’s Tent Cities? MH: Personally, working on Syria’s Tent Cities was especially challenging. For starters, I had under two months to travel to two continents, three countries, and four cities to shoot all of my footage. 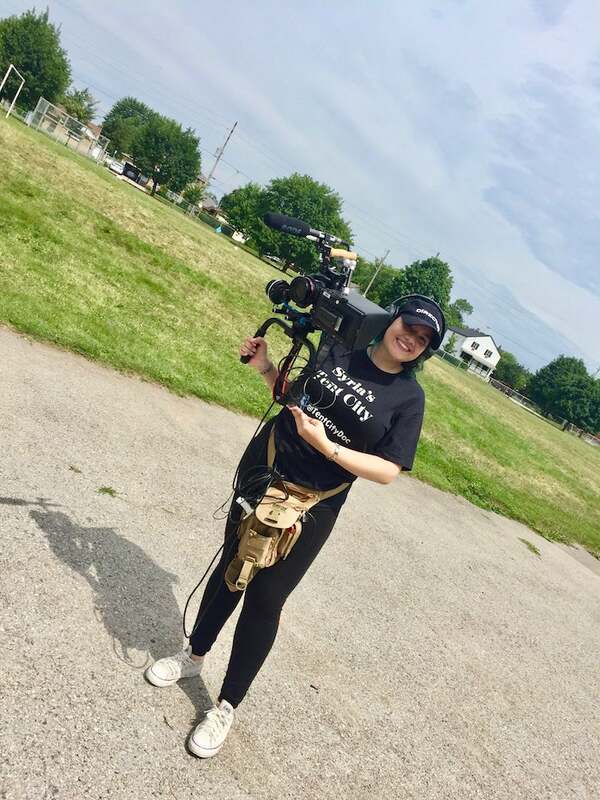 One of the things about being a low-budget student and having to operate as what was often a one- or two-person crew is that you learn to wear many, many hats on the job. 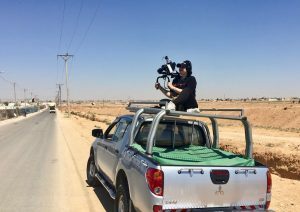 As with most of my other projects, I was in charge of directing, producing, shooting, recording sound, and editing Syria’s Tent Cities. As someone who’s doing the job of five people on location at refugee camps in the Middle East, I needed to be able to handle my emotions, even when faced with a seven-year-old girl whose leg has been amputated during the war staring longingly from her wheelchair as her twin sister and other siblings run around their one-bedroom apartment. Even when a two-year-old little boy being raised by a single father is so deprived of the love of a mother he lost while the family were fleeing the country that he curls up in your lap while you’re shooting an interview with his father and clings to you, refusing to let go when you have to leave later. I had to keep my composure on location; if I was an emotional wreck, the film wouldn’t get made and no one would hear their story. There were many, many tears when I got home. But I’d have to get up the next day and do it all again, pretending that my heart wasn’t breaking every time I met another child who just didn’t understand why they had to lose family members and run from what was once a safe and happy home. What kept me going was that I knew I was helping, I was telling their stories and encouraging the world to change their lives. In making this film, I truly feel like I grew so much as a person and a filmmaker. 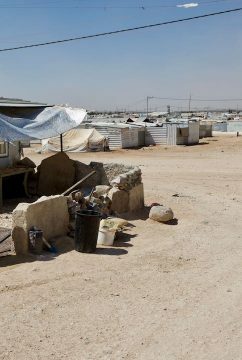 NYFA: What are your plans for Syria’s Tent Cities? MH: My main goal was that I didn’t want my audience to leave the theatre feeling sad and helpless. I wanted to give them tools and solutions to make a difference. In the film we see Nowell and Mazen; they’re not millionaires, they’re not people who have absolutely nothing else going on in their personal lives. Mazen is a full-time medical student and Nowell is a mother of two who has to tend to her own family’s wellbeing. Yet they still make the time to help, they’re dedicated. And although I don’t expect every person who watches the film to start a non-profit like theirs, they show us the small ways in which we can all help truly make a difference in these children’s lives. Simple things and contributions that actually end up having a noticeable and positive impact in the long run. 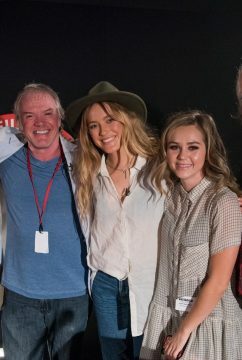 It was incredibly inspiring to work with them and I really hope that, when they watch the film, the audience is inspired in the same way I was. I set up a page on my website where people who watch the film can learn more about Mazen’s and Nowell’s work and make a simple contribution that will truly end up making a world of difference. Additionally, after working with Human Rights Watch through making this film and seeing all of the incredibly valuable research they do on the ground, I partnered with them and created a page specifically dedicated to this cause! All donations that come through the page from the link on my website will be designated to Human Rights Watch’s Refugees Division, specifically for their work on Syrian Refugees. I’m especially proud of Syria’s Tent Cities. As someone who identifies as both Syrian and Canadian, this story really hit close to home. It’s something I wanted to do for so long that every (increasingly difficult) challenge that I was faced with while making this film was a blessing I was grateful for, because it meant that I was finally actually making the film and telling the story of Syrian refugees. As proud as I am of how well the film’s been doing and as honoured as I am to be able to tell this incredible story, the awards are especially meaningful because they confirm that people recognize the importance of the film’s message and that they’re moved to give it an audience and help. This is just the start, but I know that I’ve succeeded in beginning to raise more awareness, which is what I set out to do when I first made the film. 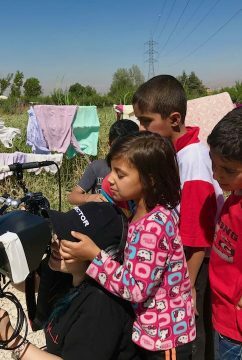 I plan to continue showing the film to as many audiences as I possibly can; this is a crucial problem and small contributions can make a very large difference in the life of a refugee child. MH: While working in the field of Documentary Filmmaking, I’ve created films that focused on issues that I felt needed to be heard and further explored. 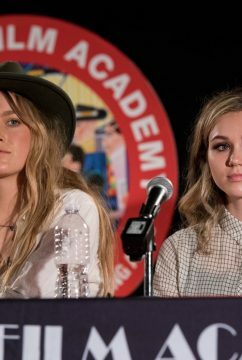 I wanted my films to not only educate the audience on the issue at hand, but to also show them clear ways in which they can help and make a difference or learn about an issue that was once foreign to them and become more accepting, compassionate individuals. I’m also about to release a short documentary film about two Syrian senior citizens who relocated to stay with their family abroad. And while they’re technically safe and living in a comfortable home, their whole lives have been uprooted extremely unexpectedly. At their age after retirement, they expected to live out the rest of their days in familiar Syria, and so they now spend much of their time reminiscing and missing those they lost to the war and during the move. 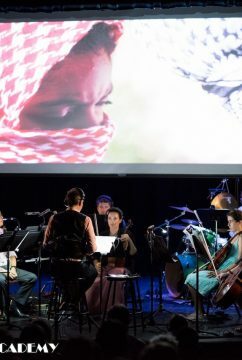 Living in a state of constant uncertainty, major change, and having to adapt to a completely foreign country at their advanced age has made them question whether leaving Syria was worth it, and so the film is named Safe or Sorry. Apart from my own projects, I also currently freelance, primarily in Documentary Filmmaking. Most of my jobs are in pre-production and/or production. I love researching a great topic extensively, reaching out to people, booking and conducting interviews, being on location shooting vérité and seeing my subject’s world through the camera’s lens. When people let you into their lives in that way, it’s a really great, fulfilling feeling — there’s a certain mutual trust and understanding there. The amazing people that documentary filmmaking brings into your life and the relationships you develop with the people you film are truly incredible and constantly remind me of why I got into this field and how fortunate I am to call this my job. 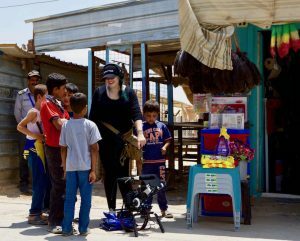 For instance, making Syria’s Tent Cities was such a humbling and eye-opening experience; I saw firsthand the difference that dedication and love, even coming from a single individual, can make in the lives of those facing a global crisis. 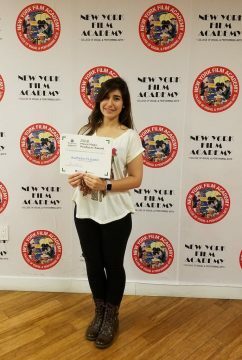 NYFA: What did you learn at NYFA that you applied directly to your work on Syria’s Tent Cities, or your work in general? MH: The biggest thing I learned is that loving something doesn’t make it easy — it just makes it worth fighting for and working towards. 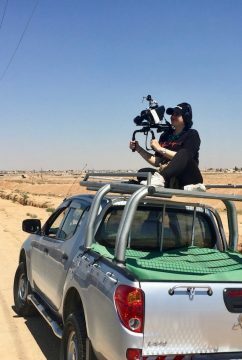 When I first started this journey, I had absolutely no idea how hard making documentaries would be! But because I love it, it has definitely been worth every challenge I’ve faced. 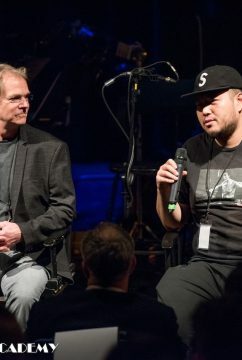 As an emerging artist, you’re definitely going to have times where you doubt yourself and your abilities, sometimes even whether you were meant to be in this field at all. You’re going to have friends in ‘safe’ jobs, with a steady paycheque and very little risk involved. And sometimes it’s going to scare you. Being a documentary filmmaker is hard, it’s challenging, there’s a lot of discipline, work, and time management that goes into it. You have to be able to believe wholeheartedly in yourself and your project and the message that you’re trying to put out there. I’ve been so fortunate to have incredibly supportive parents, family, friends, and teachers in my life who have definitely played a big role in getting me to this point today. 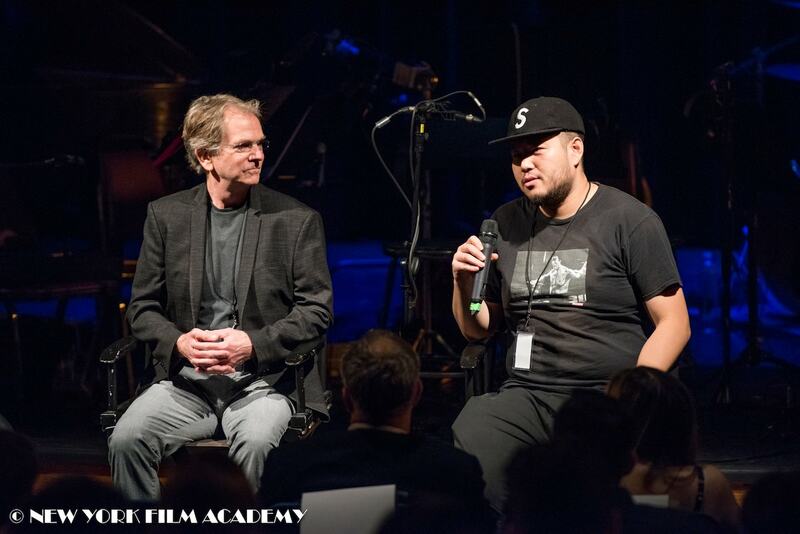 But to make it in this field, you have to truly believe in your work and keep pushing to make the story you’re working on heard; working past every festival rejection you receive, every professional failure that comes up along the way, every person who discredits you and doesn’t believe in you, and every one of the many challenges you’re going to face. 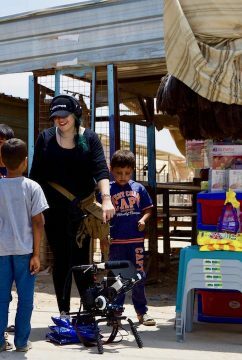 I want to specifically thank Sanora Bartels, who was actually the Consulting Producer on Syria’s Tent Cities for being an amazing mentor, friend, support system, and just an overall wonderful human being. 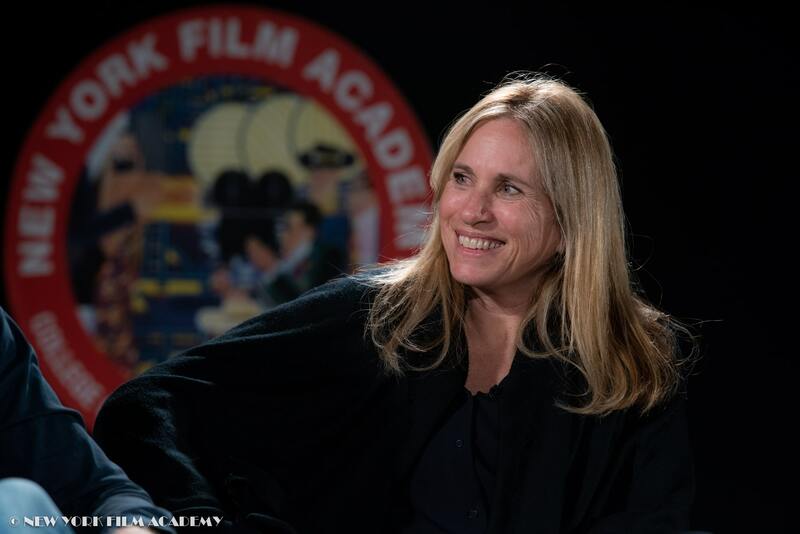 She’s gone above and beyond her role as Chair of the Documentary MFA Program to make sure that her students succeed and reach their full potential. Most importantly, she believed in us and our abilities even when we didn’t believe in ourselves. Having teachers like that when you’re only just starting out in the field is truly invaluable. 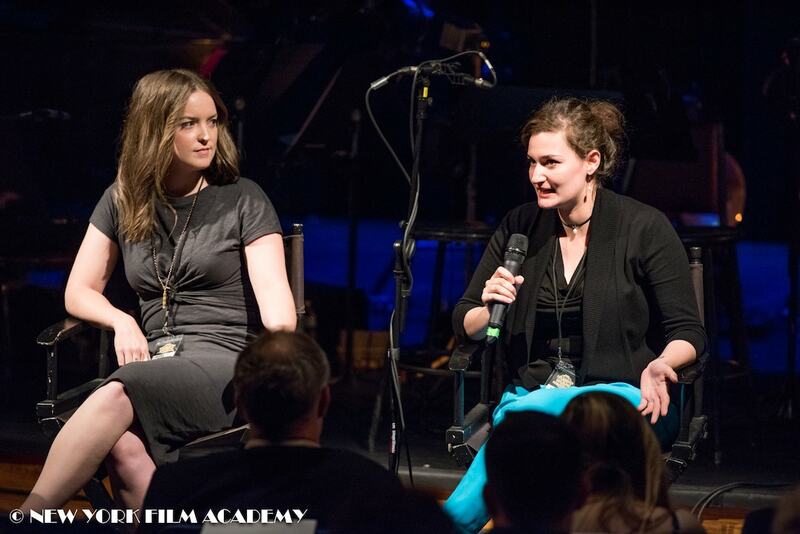 Sanora is just one of the many incredible teachers I’ve been lucky to work with at NYFA. 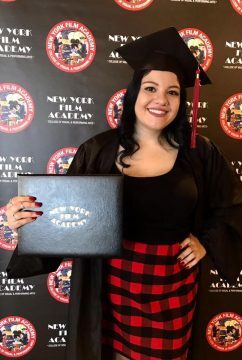 NYFA: What lies ahead for you now? MH: In addition to filmmaking, I’m very passionate about travel and hope to be able to see the world through my work. I’ve been to 25 countries so far and it never ceases to amaze me how many similarities we all have on a basic human level, regardless of differing social and cultural norms. I will continue to travel and make films while I learn more about the world; Syria’s Tent Cities is just the beginning, I have so many other projects planned and some are already in pre- and post-production! 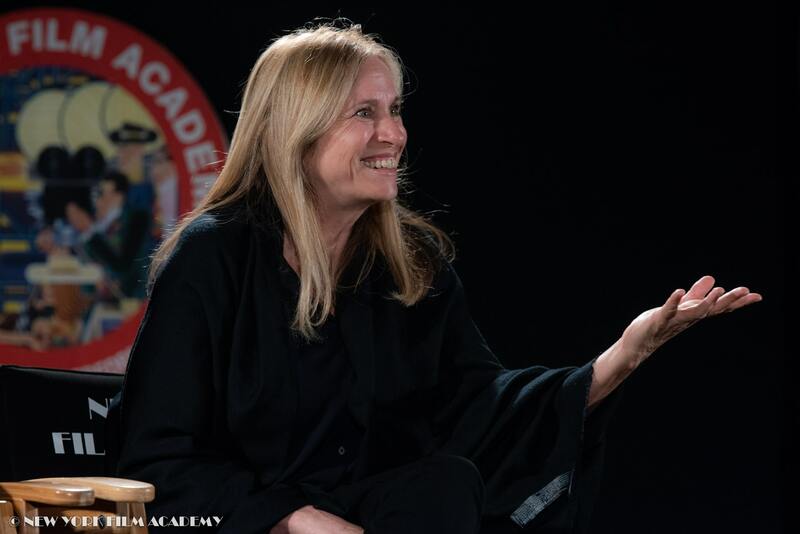 The New York Film Academy thanks Mira Hamour for the time she took to speak with us, and congratulates her on the well-deserved success of her documentary short Syria’s Tent Cities. 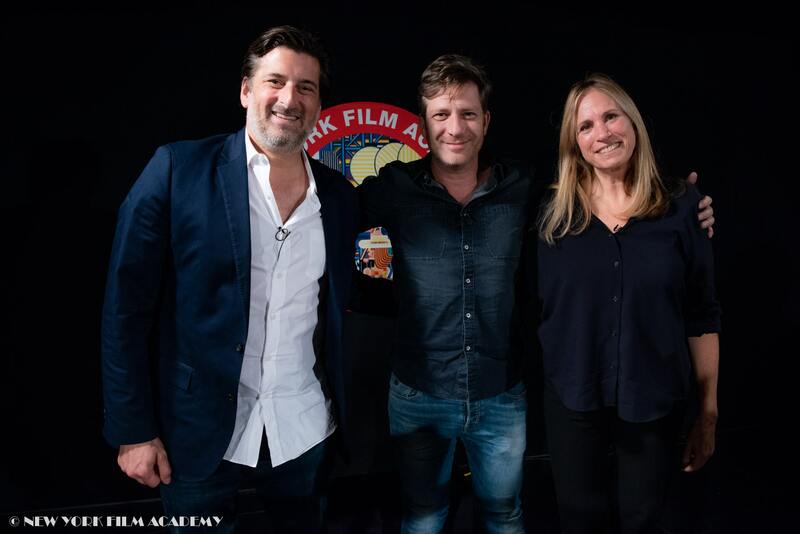 On Tuesday, October 16th the New York Film Academy hosted a screening of Look Away with director, Assaf Bernstein, and producer and NYFA instructor, Dana Lustig, moderated by Director of the Los Angeles NYFA campus, Dan Mackler. 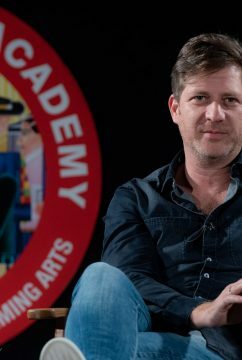 Bernstein is the critically-acclaimed director of Netflix’s massive hit series, Fauda (2015). He recently directed the pilot episode of Warrior, the Bruce Lee-inspired series created for Cinemax. Prior to that, Focus Features released an English-language remake of Bernstein’s film, The Debt (2007), which he co-wrote and directed. 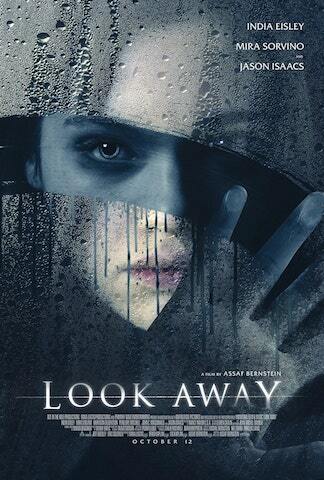 Look Away is Bernstein’s first U.S. feature. 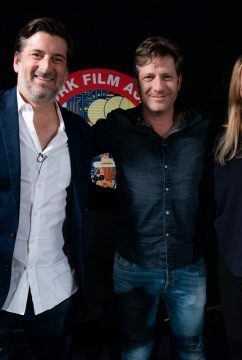 Lustig was the executive producer on Spider in the Web (2019), starring Ben Kingsley and Monica Bellucci, and the Israeli hit series, Very Important Man (2018). 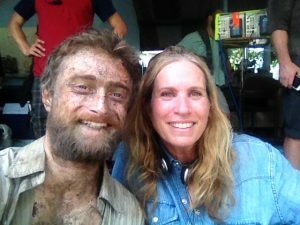 Prior to that, Lustig produced Jungle (2017), starring Daniel Radcliffe; The Frontier (2015); Rian Johnson’s Brick (2005), nominated for the Independent Spirit Award; and Dancing at the Blue Iguana (2000), directed by Academy Award nominee, Michael Radford. Lustig also directed A Thousand Kisses Deep (2011), which was nominated for the British Independent Film Award; Wild Cherry (2009) with Rob Schneider; Confessions of a Sociopathic Social Climber (2005), starring Jennifer Love Hewitt; and Kill Me Later (2001), starring Selma Blair. Lustig is set to direct the remake of Israeli film, The Man in the Wall. 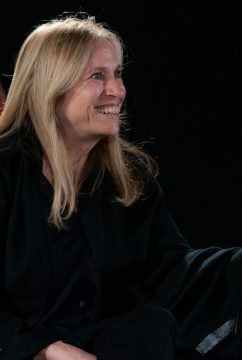 Bernstein added that making the protagonist female also played into primordial parental fears about their teenage daughters being sexually active, fears of both their daughters’ agency and potential victimhood. 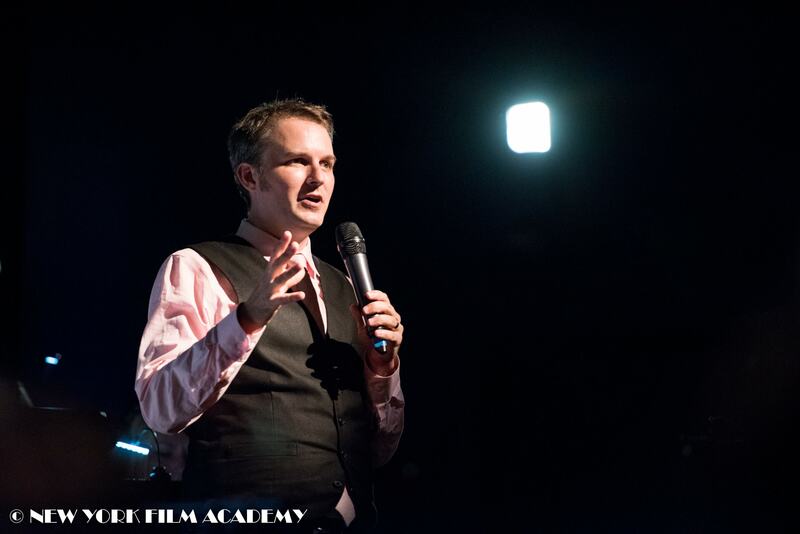 Lustig then encouraged all students in the audience to make their films with whatever resources are available to them and to never stop learning. 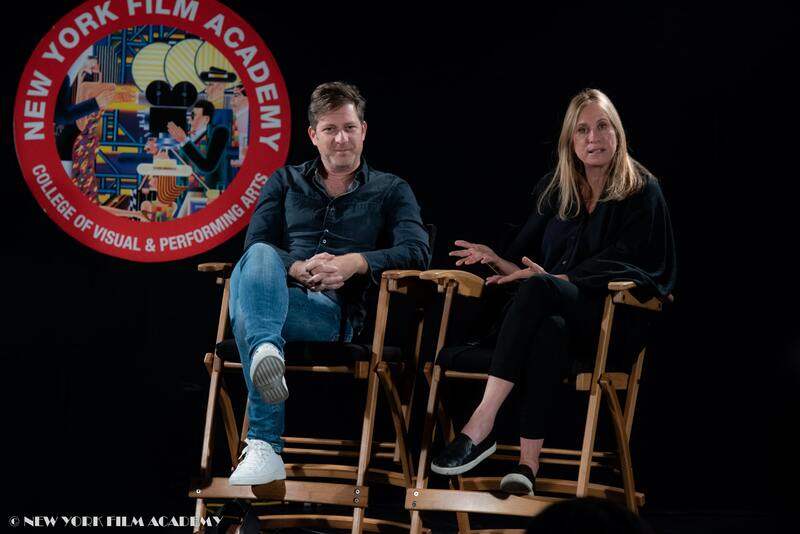 The New York Film Academy thanks Assaf Bernstein and Dana Lustig for sharing their creative processes and entertainment industry advice with students! The theater lights dimmed, the first frames of film flickered across the screen, and the orchestra played their opening bars. 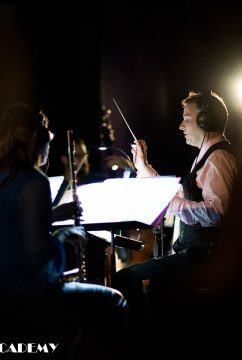 Orchestra? 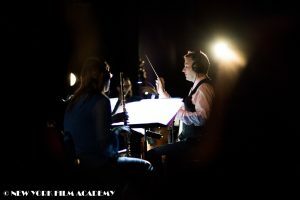 Yes, orchestra, for this wasn’t just any film screening. 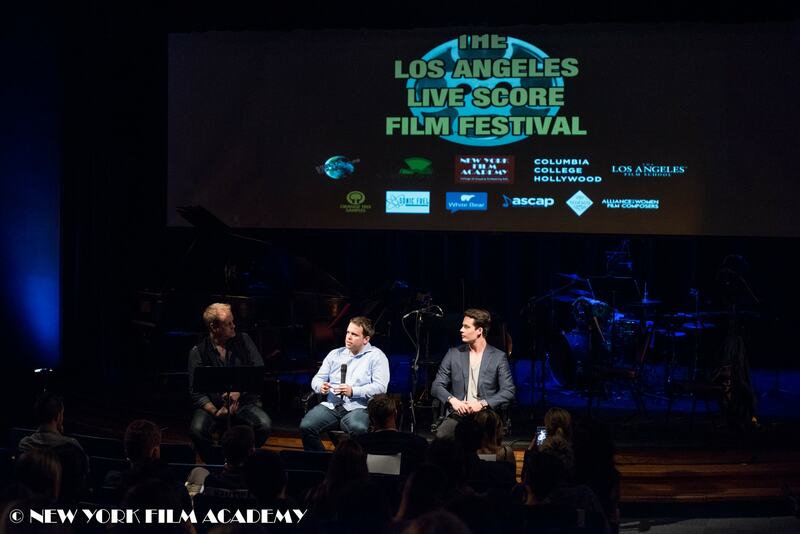 This was the Los Angeles Live Score Film Festival, a celebration of the relationship between film and music, and that was the Helix Collective playing live as the films screened. 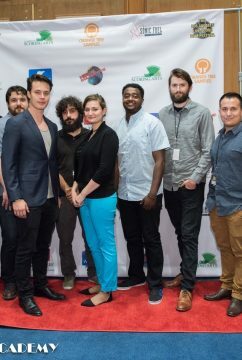 Held on July 21, 2018 at the Barnsdall Art Park Gallery Theatre, the festival featured the works of Los Angeles area film students, including five New York Film Academy (NYFA) filmmakers. 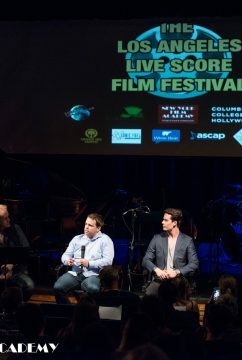 Festival director Sarah May Robinson paired each of them with a composer from the Academy of Scoring Arts who scored the shorts. 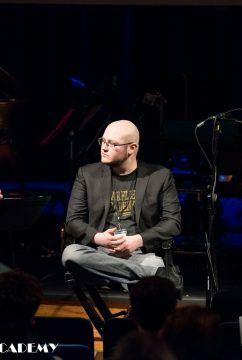 On the night of the event, host Brian Ralston of the SCOREcast interviewed each director/composer team, asking them to discuss the experience of being matched with a total stranger and what it was like to work together. Next, conductor Phil Popham picked up his baton and led the orchestra in a thrilling accompaniment for the films. 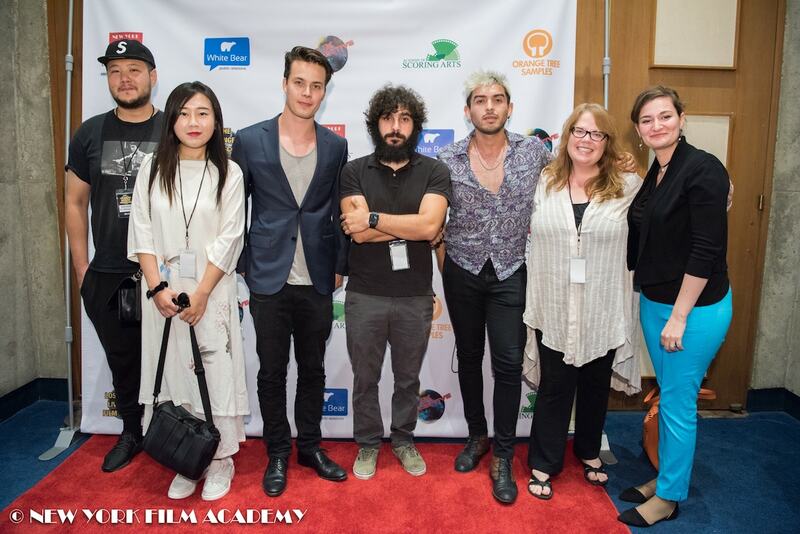 Audiences were entertained by the films of NYFA directors Victoria Gagieva (Niara), Vicken Joulfayan (Liminal), Oliver Weinmann (The Pill), Nicolas Varela (Aphrodite), and Haily Lanyue Zhang and Majik Jingwei Zhou (Arrow and Oil). Their prize was a free studio recording of the orchestra playing their composed score. 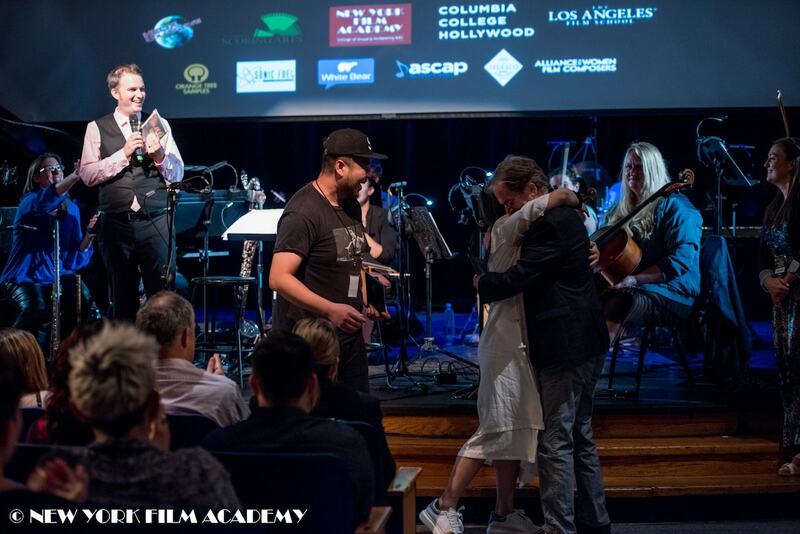 All the filmmakers were winners, though, as each received a studio recording of their score for a nominal fee plus a free sound mix from Greenhouse Post. 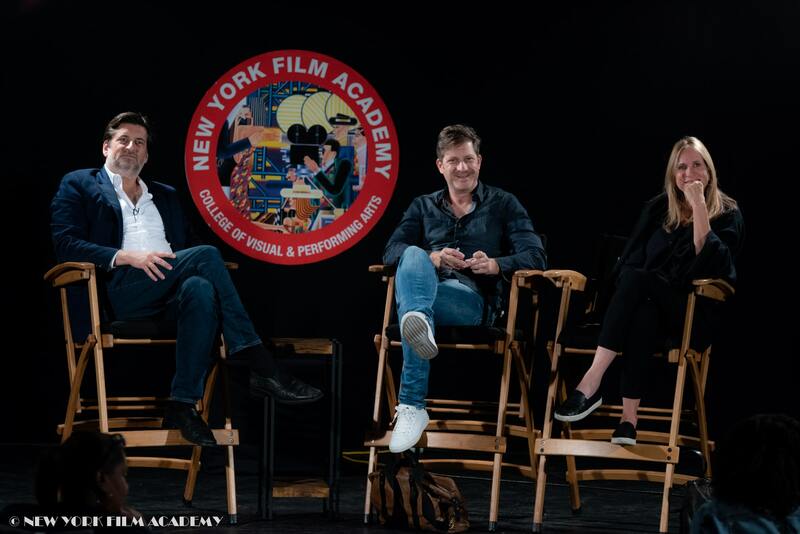 The New York Film Academy congratulates all the filmmakers and wishes them continued success in their film festival runs! 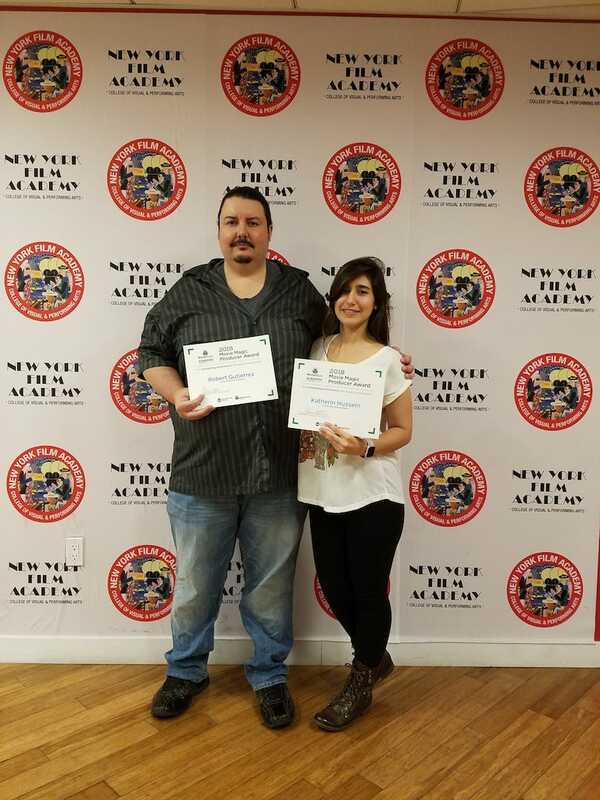 New York Film Academy’s Katherin Hussein and Robert (Bobby) Gutierrez are the most recent recipients of Entertainment Partners’ Movie Magic Scholarship Producer Award. 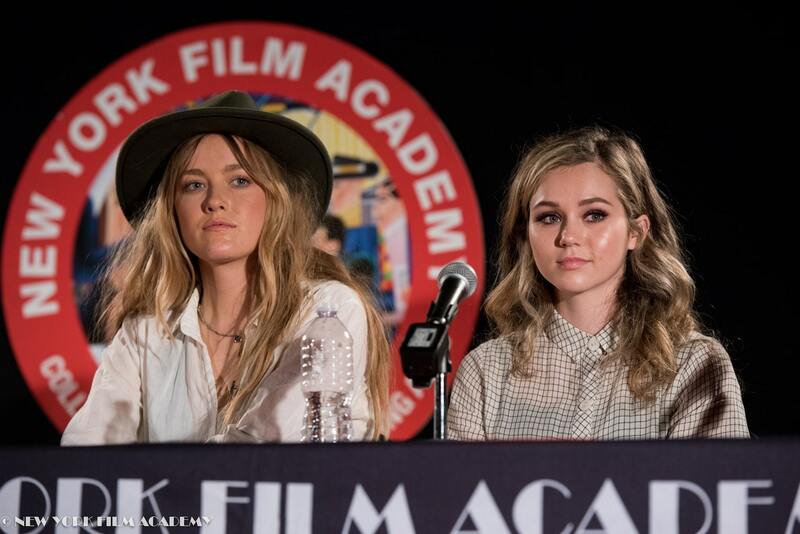 The scholarship is sponsored by Movie Magic, a software program for production professionals. 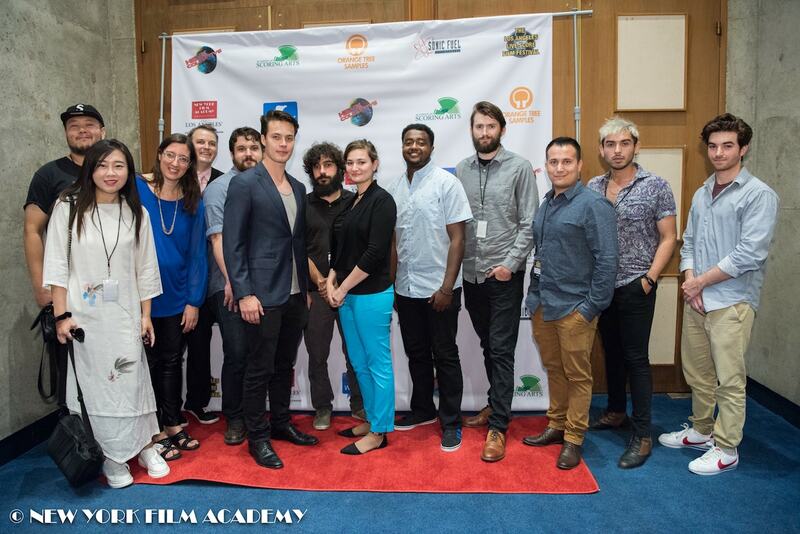 Both students come from the Spring ’16 MFA Filmmaking Feature Track. 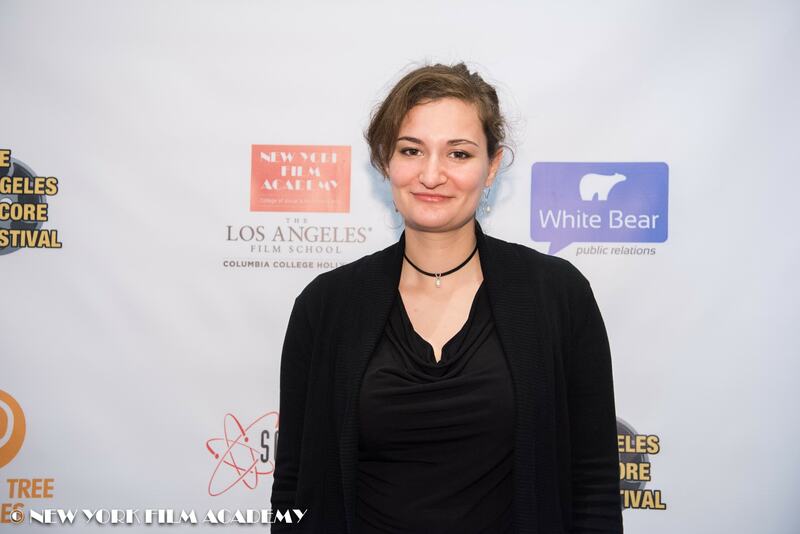 Katherin Hussein is a Spring ’16 MFA Filmmaking graduate at New York Film Academy’s Los Angeles campus. 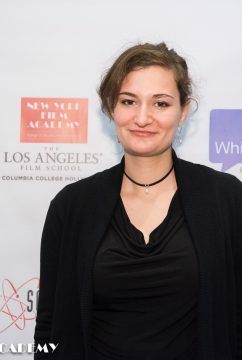 Originally hailing from Venezuela, Katherin is currently in development on her first feature film, The Unfinished. The film is about a recently orphaned twelve-year-old who girl who must stop a monster before it destroys her mother’s legacy. The monster is from an unfinished painting. With this award, Katherin is recognized for her outstanding development effort on The Unfinished, including the creation of a beautifully crafted and visually powerful proof of concept to support her fundraising efforts. 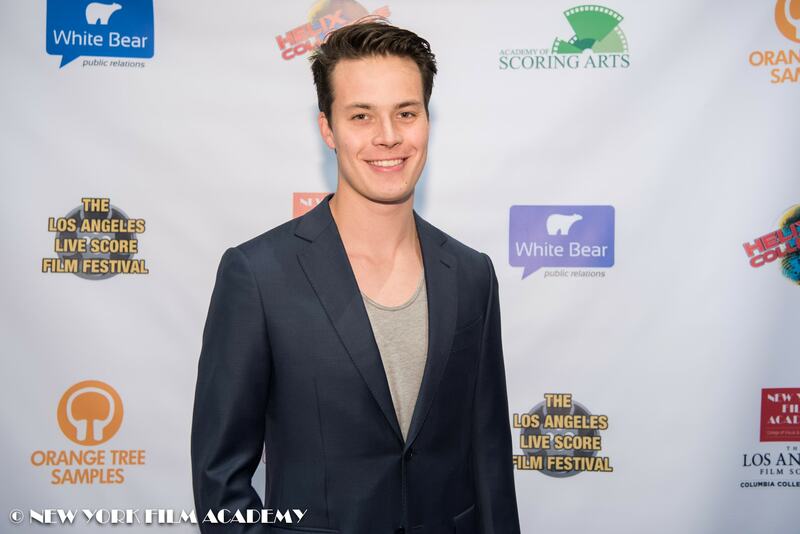 Robert (Bobby) Gutierrez is a Spring ’16 MFA Filmmaking graduate at New York Film Academy’s Los Angeles campus. A native of Wyoming, Bobby has an extensive background as both an actor and director on stage and in films. 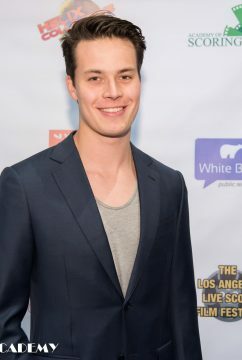 He is in development on his film directorial debut, Safe, about a death row inmate who relives his time spent with a wild young couple on a deadly crime spree across the badlands of Montana. 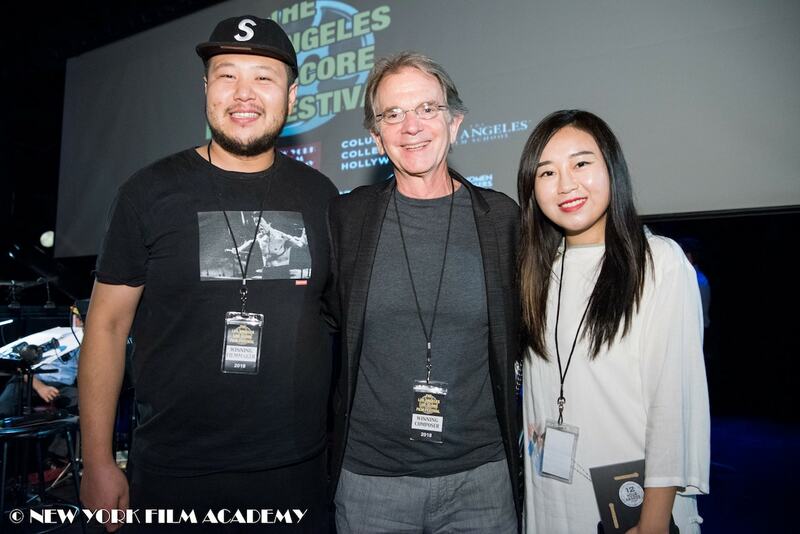 Bobby is recognized for his outstanding development of the film’s script, adapted from a play by Ron Fitzgerald. A consistently excellent and ambitious student, he is a very worthy recipient of this recognition. 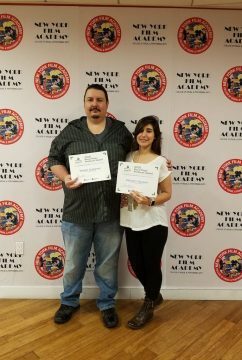 The New York Film Academy congratulates Katherin and Bobby on their well-deserved awards and looks forward to the completion of their feature films and to all their future successes! 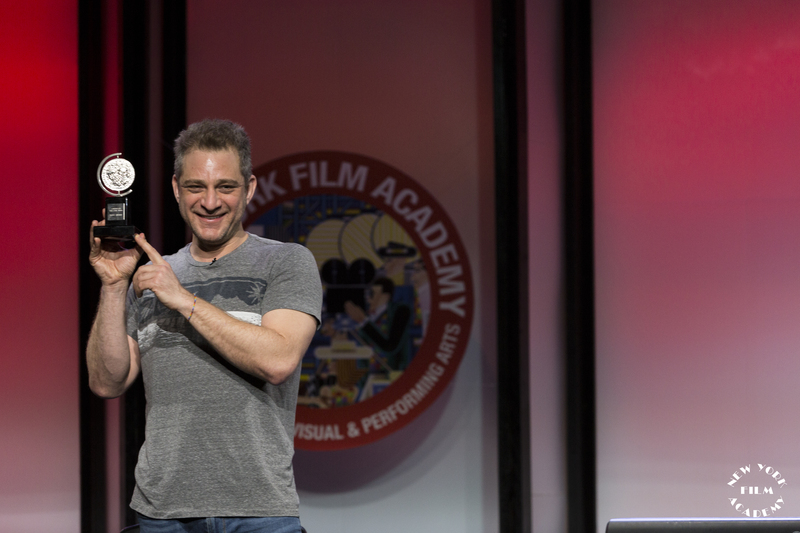 Interested in studying filmmaking? 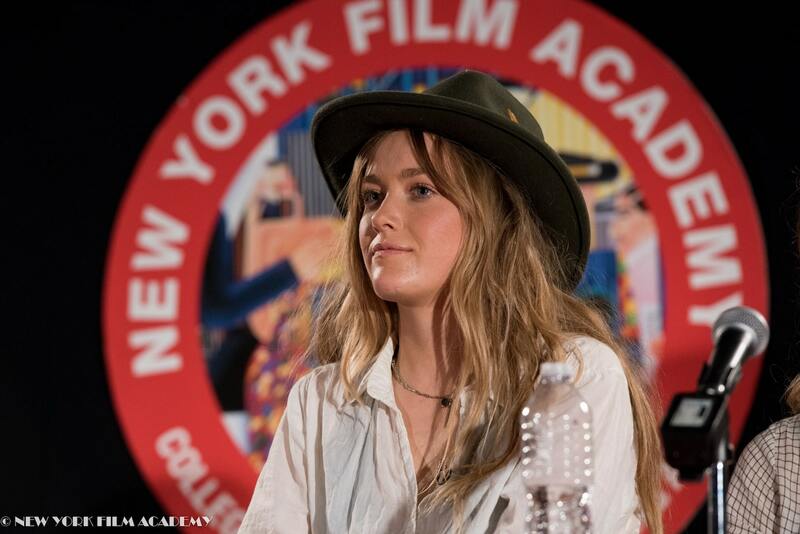 Check out more information on New York Film Academy’s programs here. 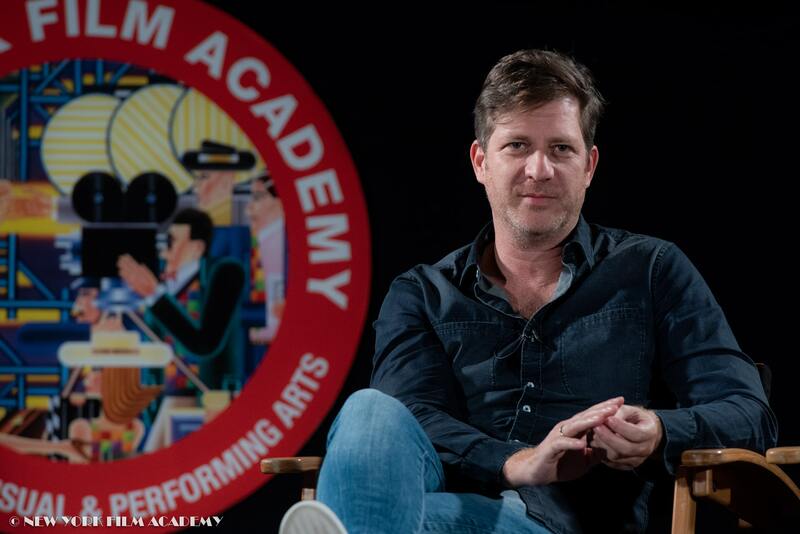 Tony Award-winning composer and lyricist Jeff Marx visited the New York Film Academy at our New York City Theatre in late February, much to the delight of our Musical Theatre students. 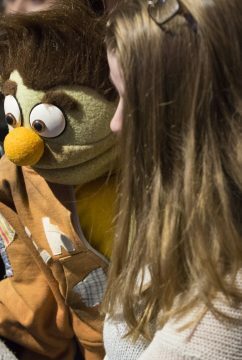 Marx is best known for Avenue Q, the innovative musical starring both human and puppet characters that instantly earned critical acclaim and won over audiences across the country. It went on to win three Tony Awards, including Best Musical. It is currently running Off-Broadway and has toured the country and been produced in both the West End and Las Vegas. Before writing Avenue Q, Marx passed the New York State Bar exam, planning to be a lawyer. 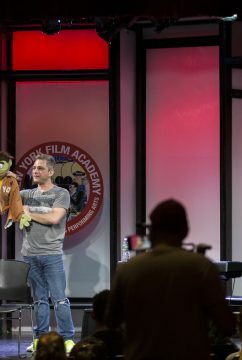 He met partner Robert Lopez shortly after at the BMI Lehman Engel Musical Theater Workshop, writing a spec Muppet film as a pre-cursor to their collaboration on Avenue Q. 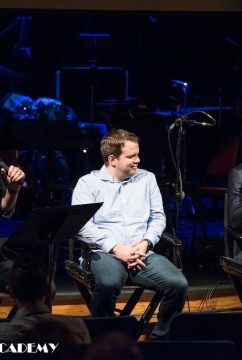 Since winning his Tony, Marx has gone on to write for the musical episode of NBC’s Scrubs, as well as songs for Bear in the Big Blue House and The Book of Pooh. He also co-wrote the theme song for Logo TV’s Rick & Steve: The Happiest Gay Couple in All the World. 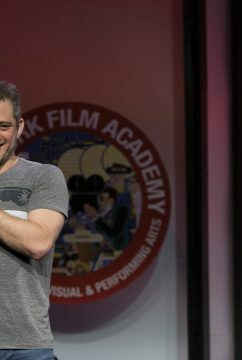 Speaking with the students of NYFA’s Professional Conservatory of Musical Theatre, Marx highlighted his indirect path to Broadway stardom, mentioning that he didn’t even start writing until he was 28 years old. 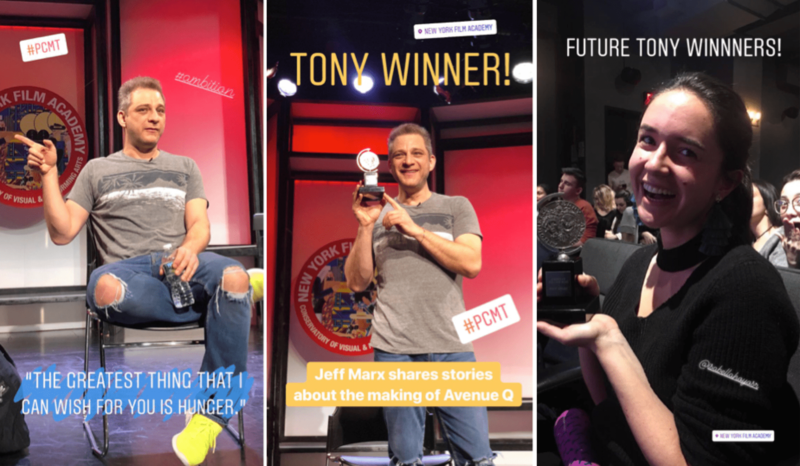 “The greatest thing that I can wish for you,” Marx told the audience of aspiring Broadway stars, “is hunger.” He also shared anecdotes about the making of Avenue Q. 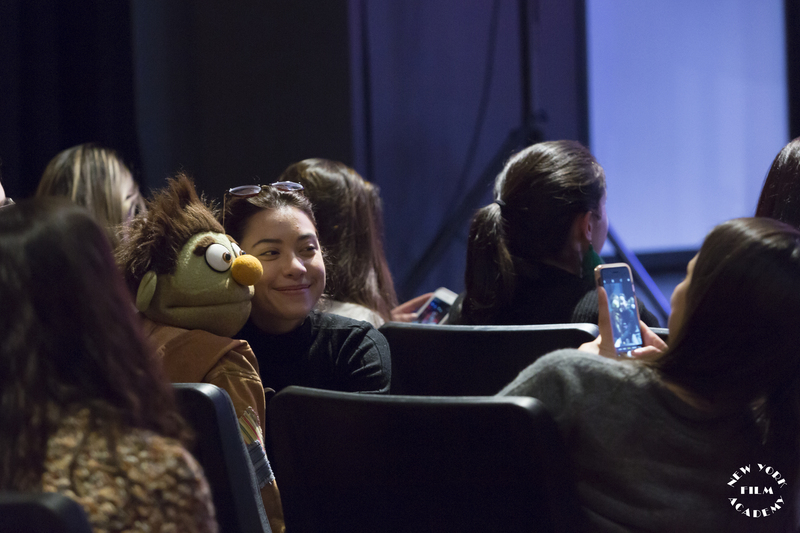 In addition to inspiring students with his story, he also brought a special and well-received guest — puppet and star of Avenue Q, Nicky. 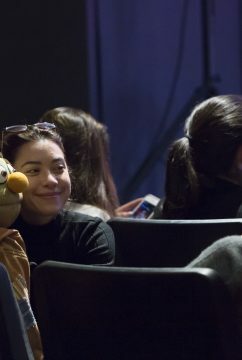 Avenue Q’s cast of puppet characters included both rod puppets and live-hands, the latter of which are often operated simultaneously by two puppeteers. 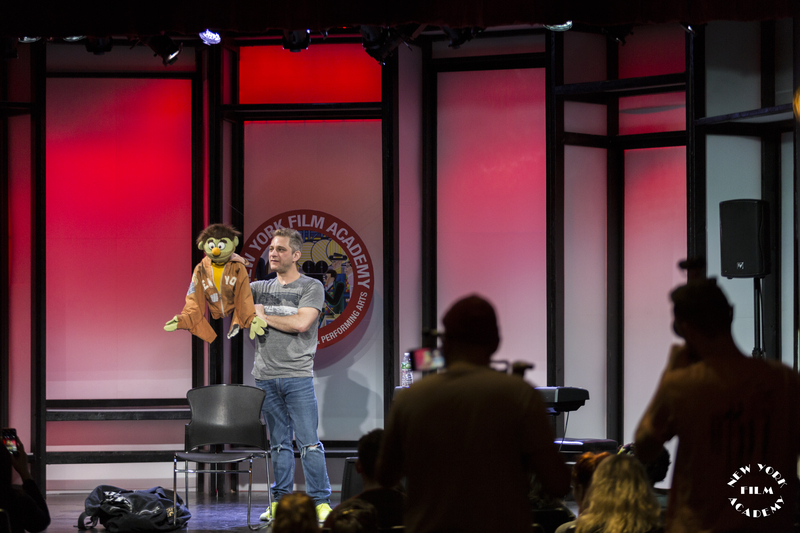 Nicky is a live-hands puppet, and students were delighted to see him in action on stage with Marx. 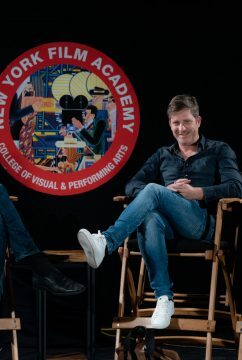 Nicky wasn’t all Marx brought with him on his visit to NYFA. 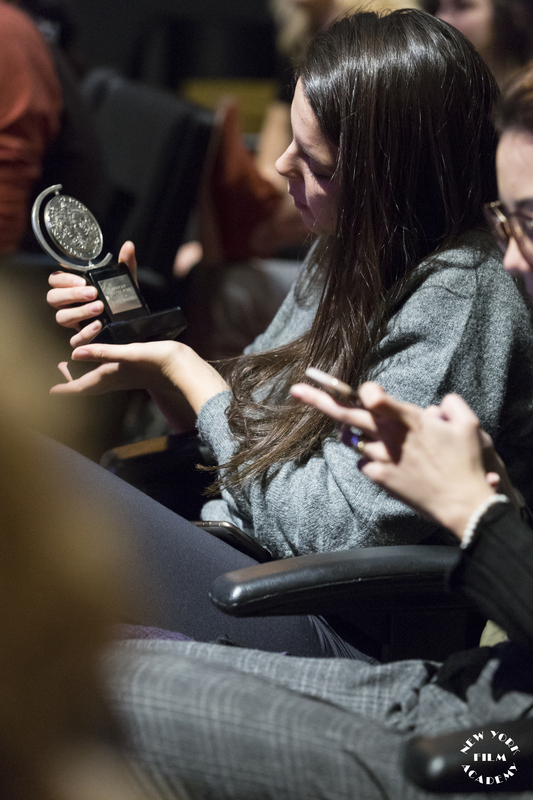 In addition to Nicky, he brought along his Tony Award, Broadway’s highest honor. Musical Theatre students were thrilled when Marx allowed them to hold it and pass it around — an inspiring moment for those learning at NYFA and hoping to win one of their own in the not-too-distant future. 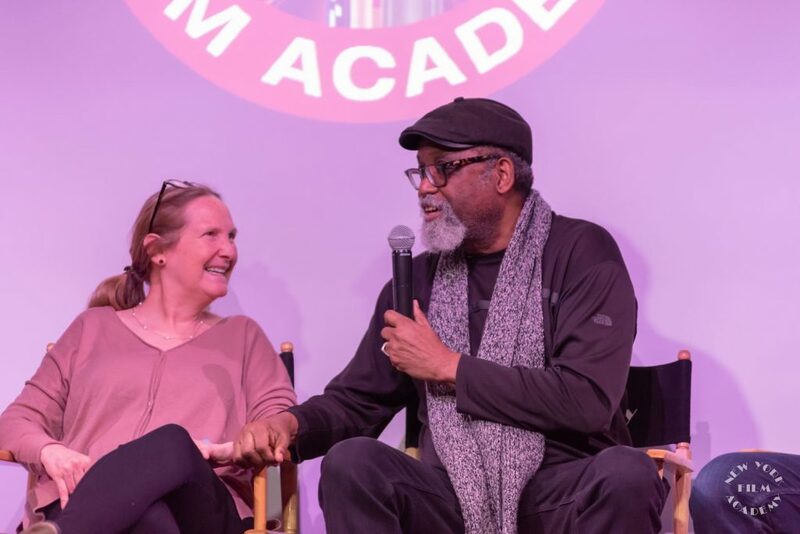 By the time the students had to say goodbye to Marx and Nicky, they had learned and laughed, and were extremely grateful for the generous time, energy, and inspiring words Marx brought with him to the New York Film Academy. 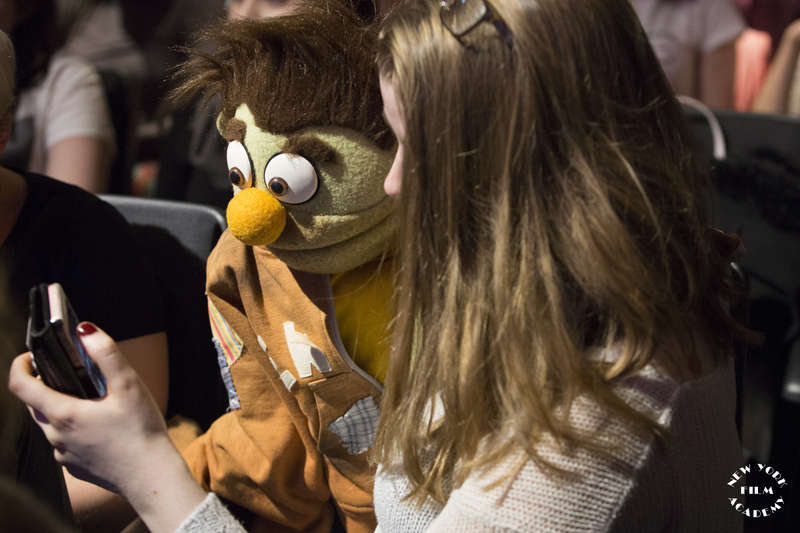 Interested in joining the magical and puppet-filled world of musical theatre? 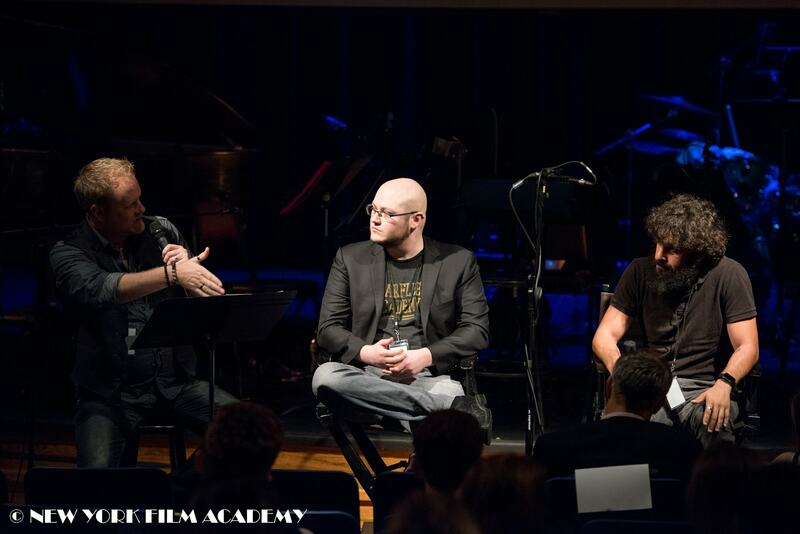 Check out the programs of New York Film Academy’s Professional Conservatory of Musical Theatre. Everybody knows by now that the Internet is filled with countless blogs, from globally famous media companies to ones covering even the tiniest of niches. 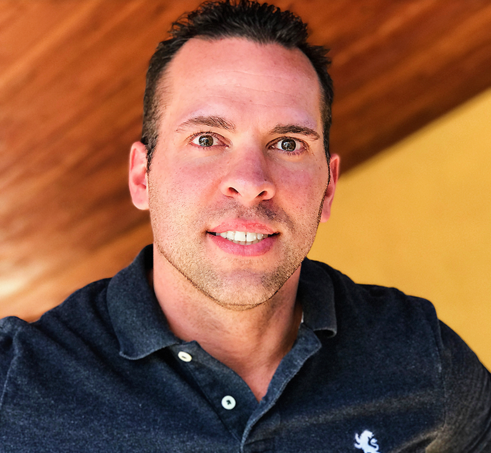 But there’s at least one blog that’s doing great work serving an often overlooked yet large and vitally important demographic—the United States military community. The blog, We Are The Mighty, is for veterans, servicemen and women, and their families, and covers everything from military news to pop culture, with both thoughtfully penned articles and silly, amusing listicles. 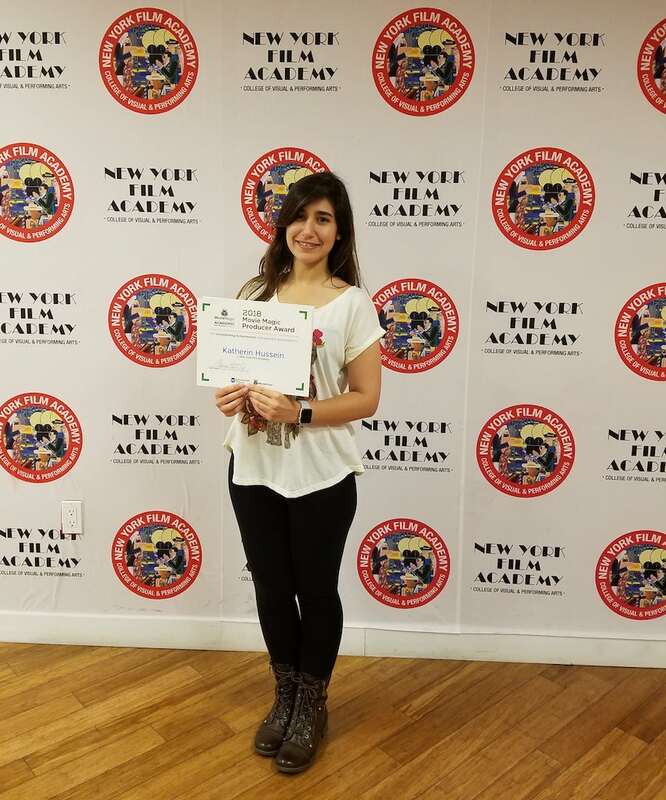 Overall, WATM’s mission statement is “Celebrating military service with stories that inspire,” but in doing so, it’s also provided a way for the community to congregate, communicate, and share their ideas and views through its site and social media. 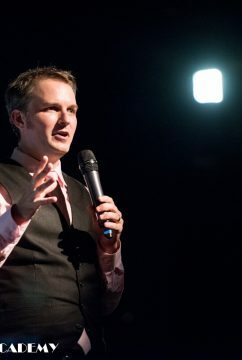 Tim Kirkpatrick is one of the writers for We Are The Mighty, and has already built an impressive portfolio of articles. Kirkpatrick is a Navy veteran, having entered as a Hospital Corpsman in 2007. In the fall of 2010, he was deployed to Afghanistan with the 3rd Battalion 5th Marines. 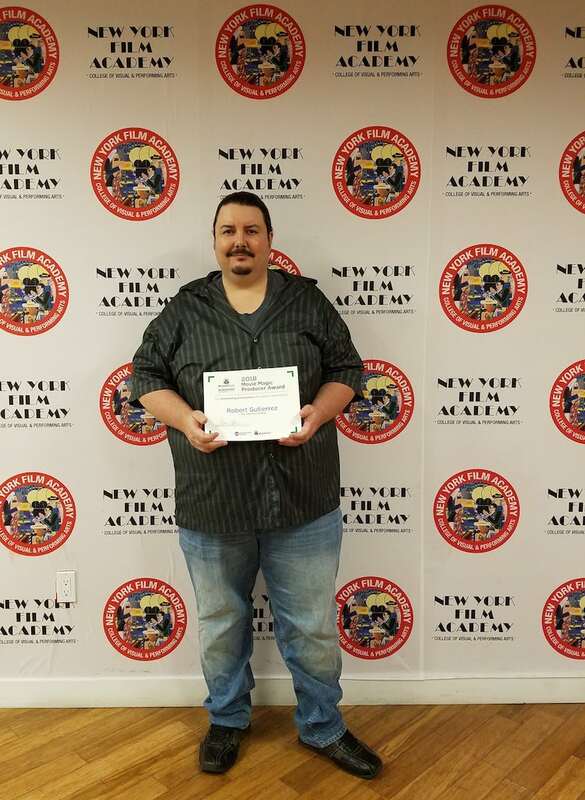 After coming back stateside, Kirkpatrick enrolled at the New York Film Academy and earned his AFA degree in filmmaking from our Los Angeles campus. 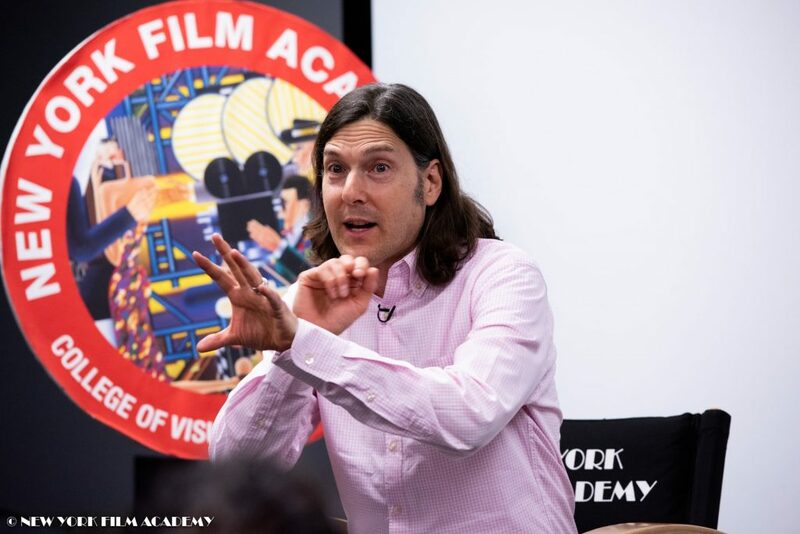 Honing his skills even further, Kirkpatrick followed his filmmaking education with NYFA’s 8-Week Screenwriting workshop. One of his most recent pieces is about the New York Film Academy itself, highlighting the Academy’s relationship to the Military and veteran community. 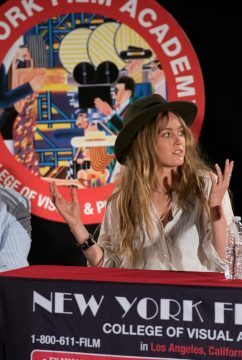 As Kirkpatrick mentions in his article, “At any given time, NYFA caters to over 200 veterans in the student body and the school takes pride in putting a camera in their hands on the first day of class,” while also adding that NYFA has enrolled over 1500 veterans and dependents of veterans in total. 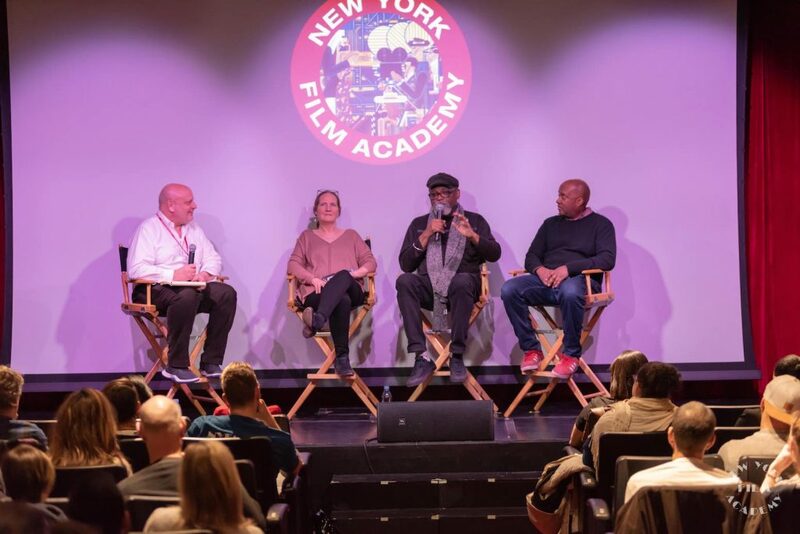 The Military and veteran community is an important part of the NYFA family. 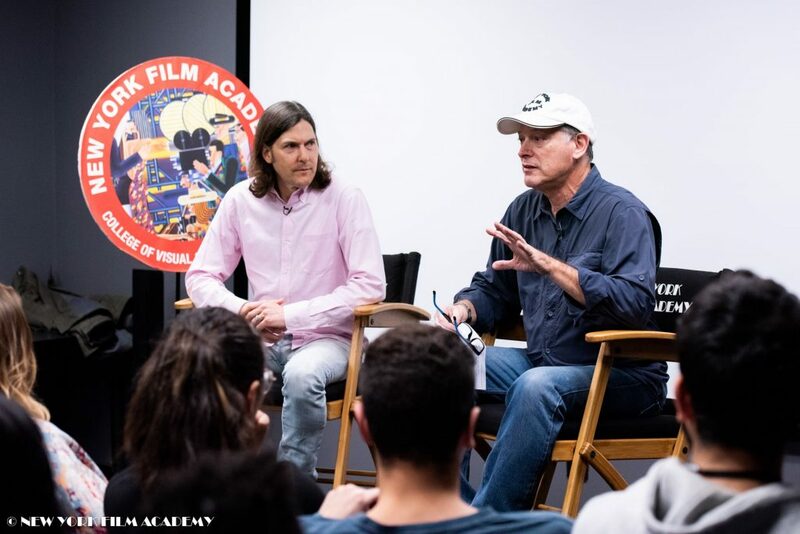 Kirkpatrick mentions in his article the Academy’s V.S.A., or Veteran Student Association, where vets from different branches of the armed forces come together over their shared love of film and the visual arts. 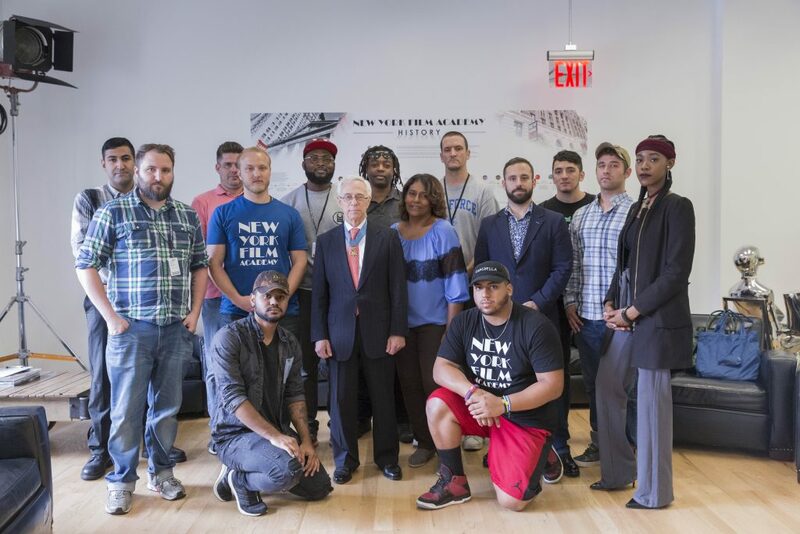 Kirkpatrick also shouts out the venerable Colonel Jack Jacobs, who in addition to being a Medal of Honor recipient and on-air military strategist for NBC/MSNBC, is the Chair of the NYFA Veterans Advancement Program. You can check out Tim Kirkpatrick and the other writers at We Are The Mighty here.